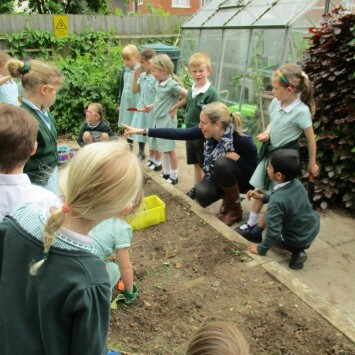 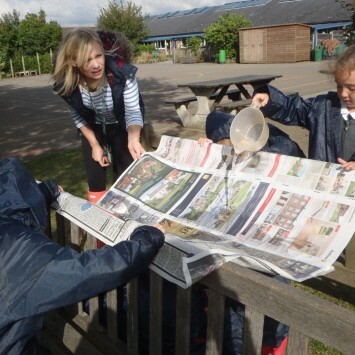 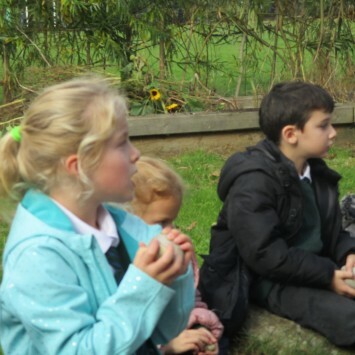 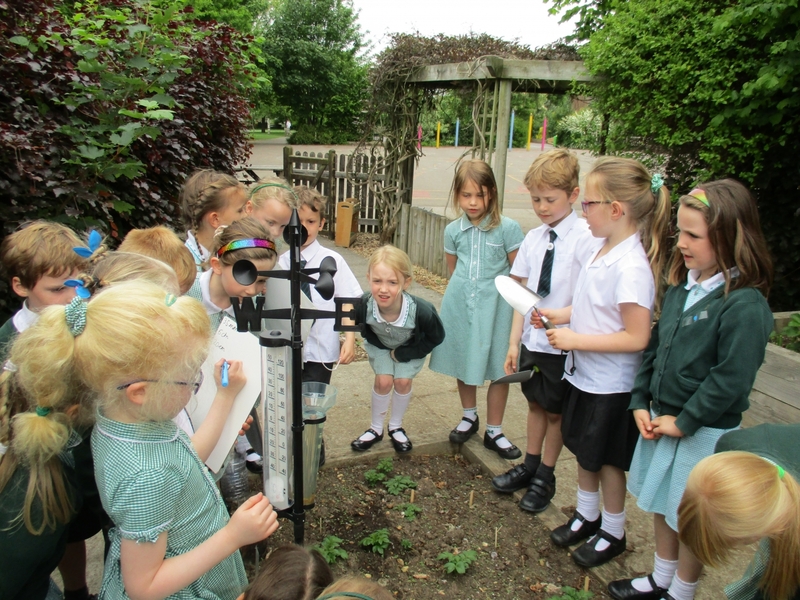 Year 1 have turned into gardeners this term and planted potatoes and courgettes in the school garden. 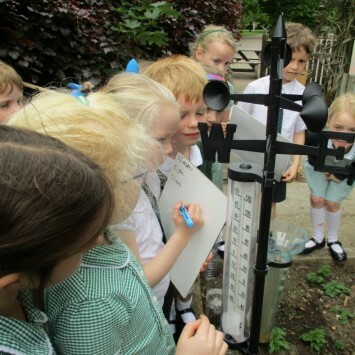 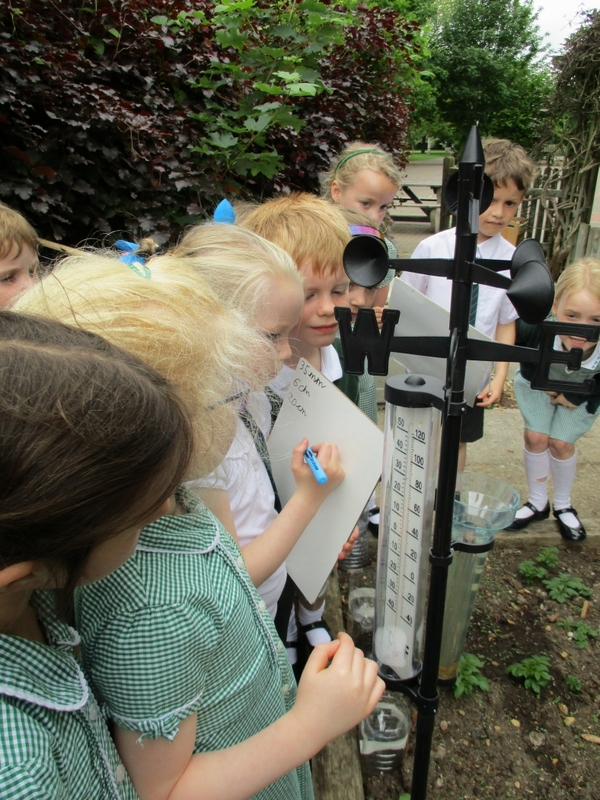 They have also been monitoring the weather, checking the temperature, wind strength and rain fall each week. 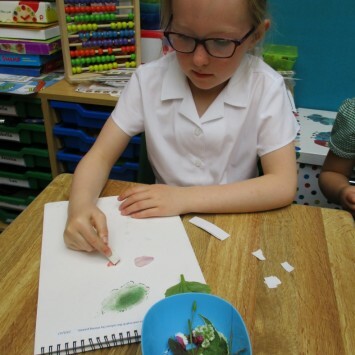 They are finding out about all aspects of plants, including looking carefully at all the different colours of the leaves and petals and recreating the different shades by mixing pastels. 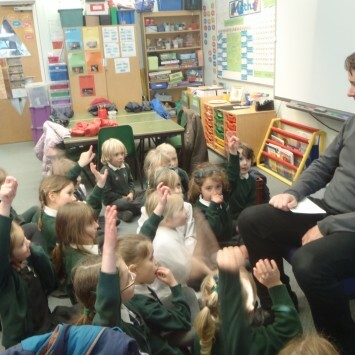 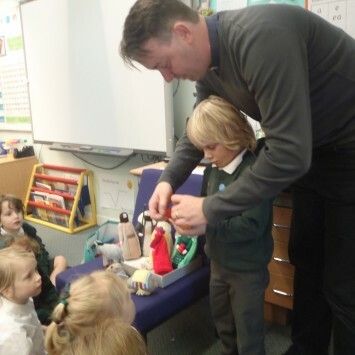 Today we had an important visitor – Revd Gary! 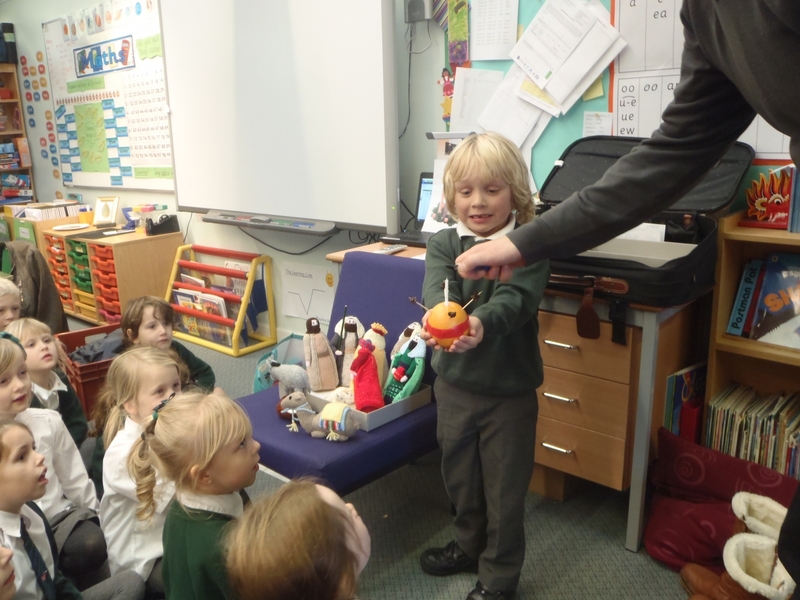 He told us all about how St Peter’s Church prepare for Christmas. 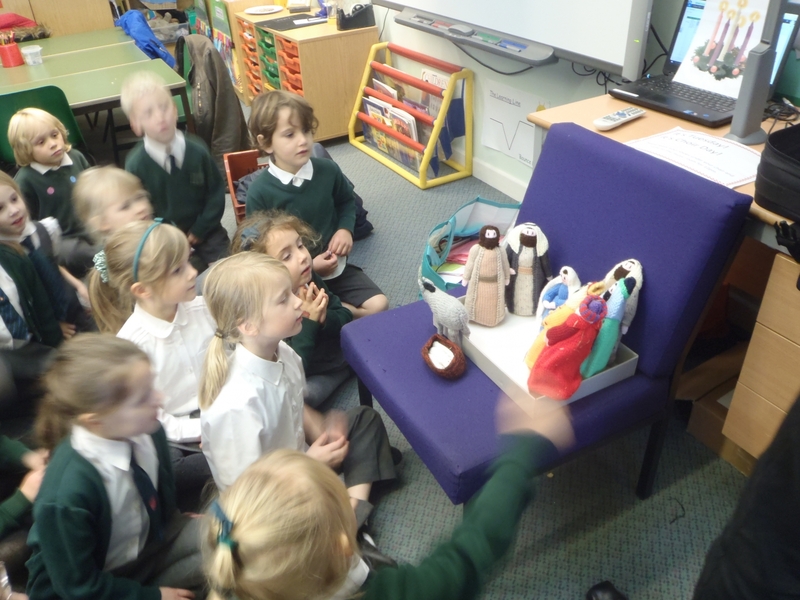 He shared his advent robes with us (which Mrs Bennett modelled) and some of the artefacts that are used in church. 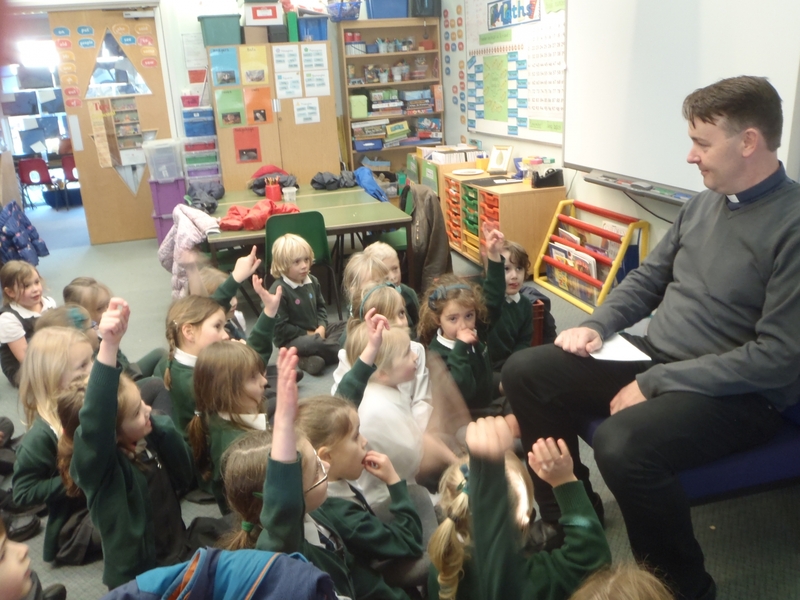 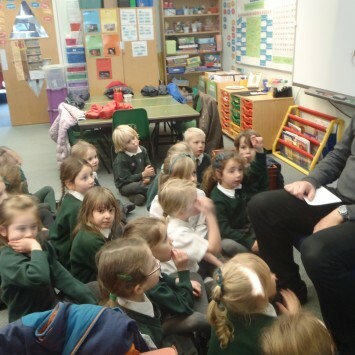 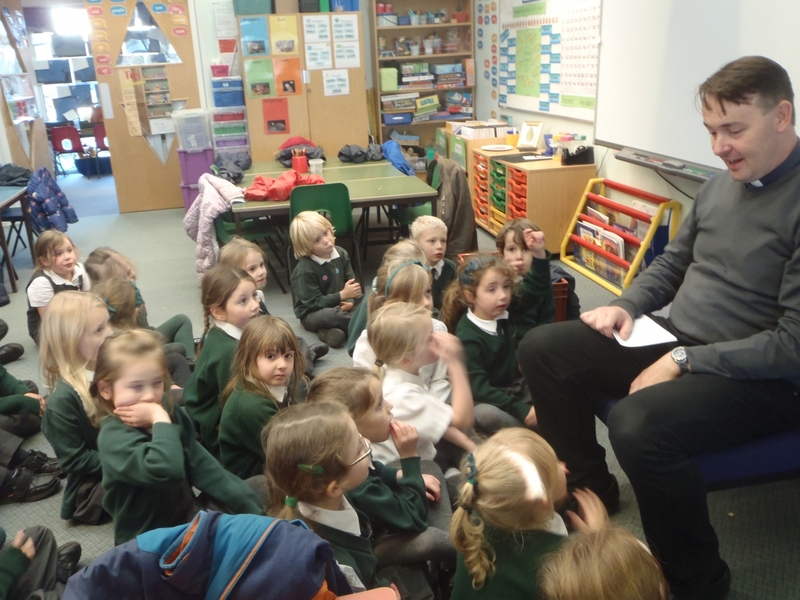 He answered lots of our ‘Christmas Questions’ some of which were really tricky! 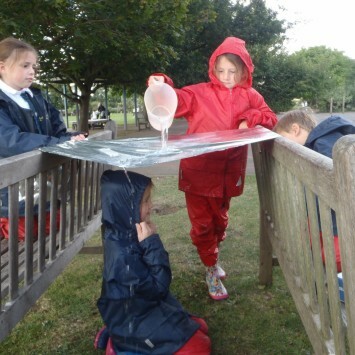 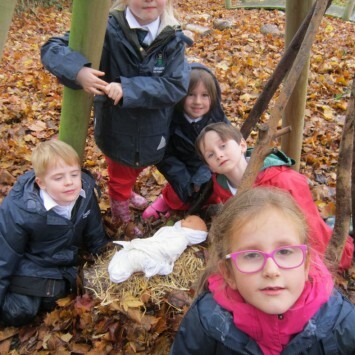 During the afternoon we also followed a ‘Nativity Trail’ where we searched for nativity props around the field and explained their purpose in the story. 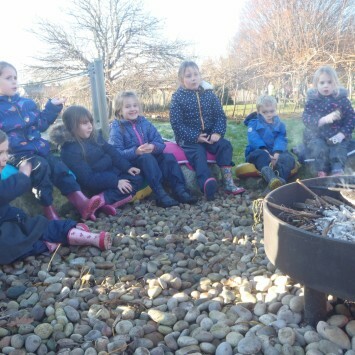 We finished in the woodland area around the campfire. 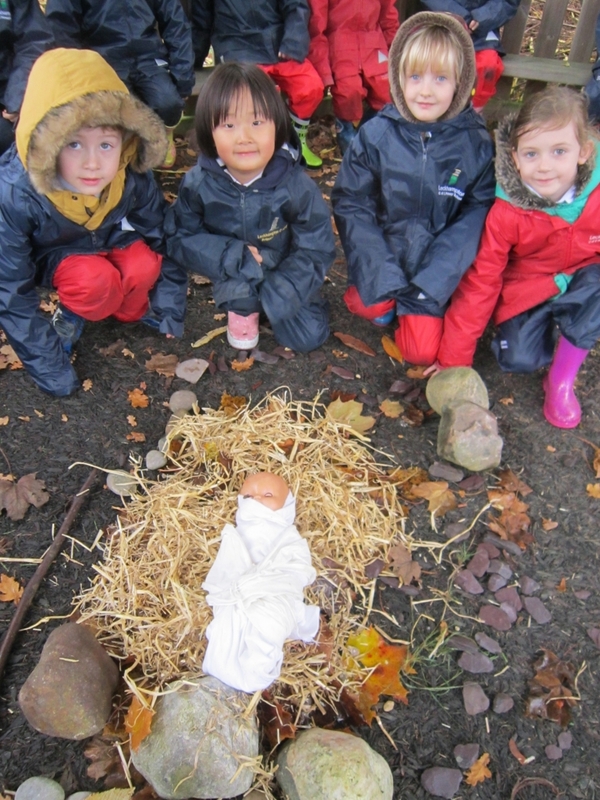 We reflected on what it would have been like to have been shepherds on that wonderful night. 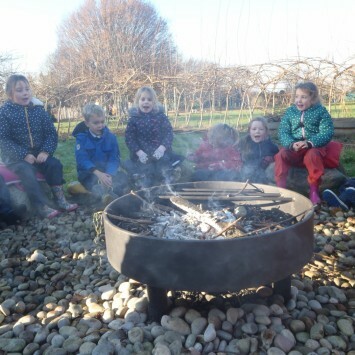 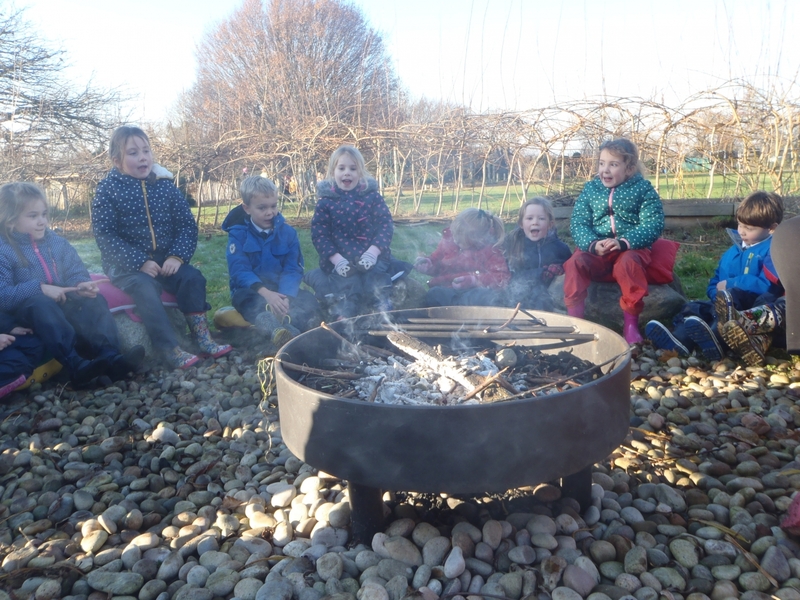 We enjoyed singing our nativity songs as we experienced the cold afternoon around the light and warmth of the fire. 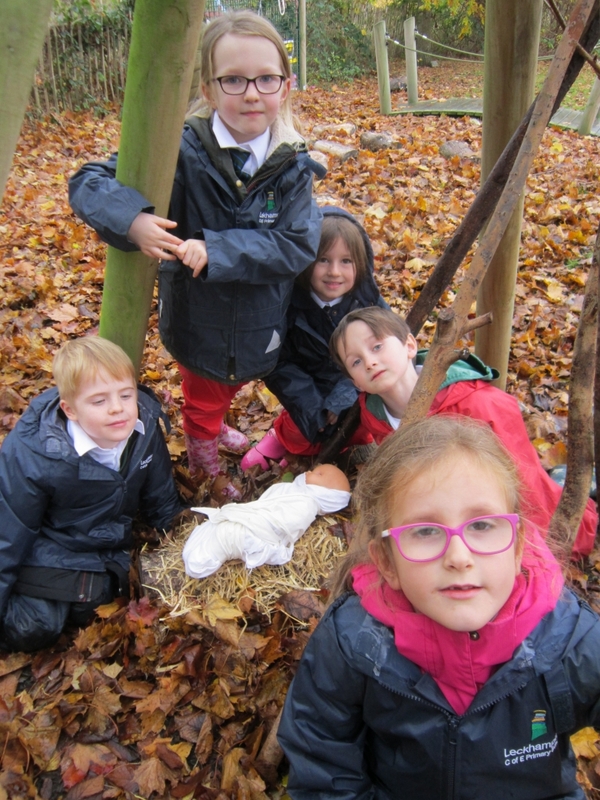 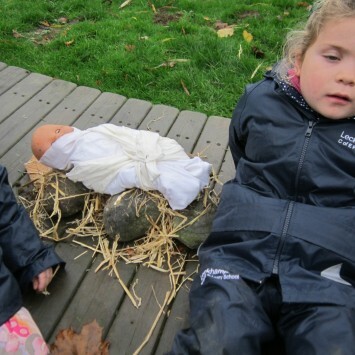 Today we found baby Jesus in a manger in the woodland. 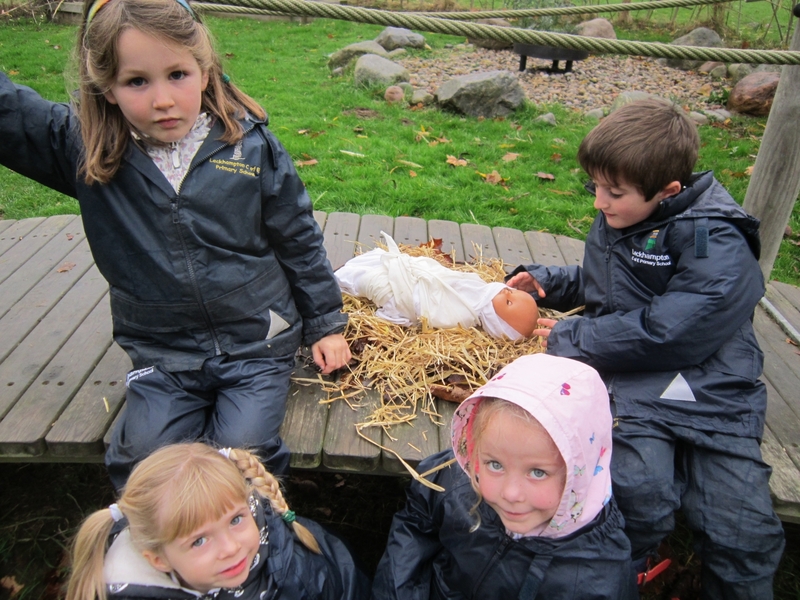 Jessica knew that a manger is something that animals eat from. 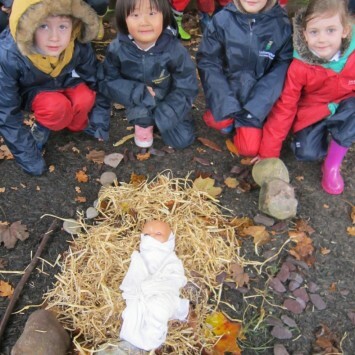 We made beds for Baby Jesus. 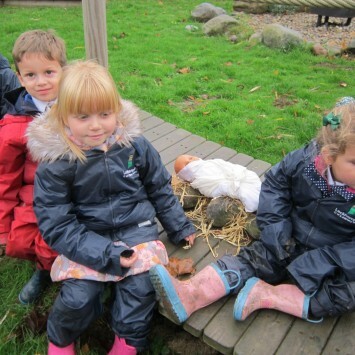 Ellie’s group used sticks leaves and hay. 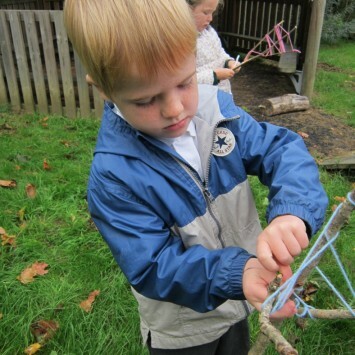 Quin’s group used sticks leaves hay and rocks to keep him safe. 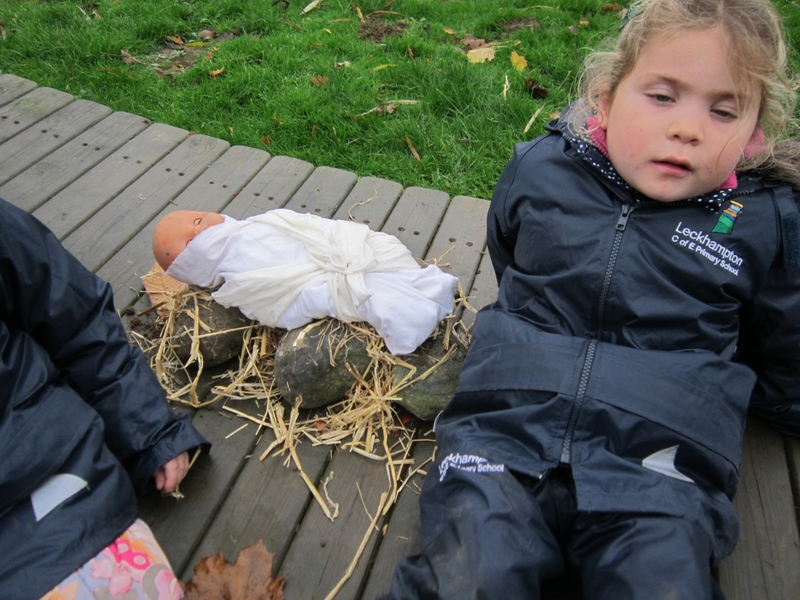 Edward’s group made a pillow with rocks leaves and hay. 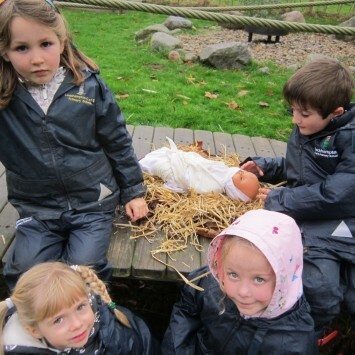 Peter’s group added soft mud to their bed with hay on top. 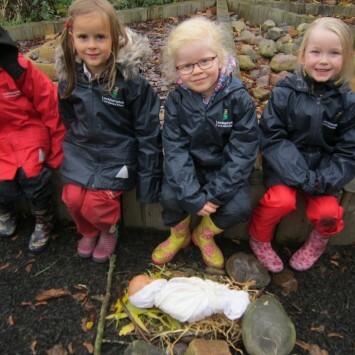 At the end we saw everyone’s beds, we put baby Jesus in it and took a photo. 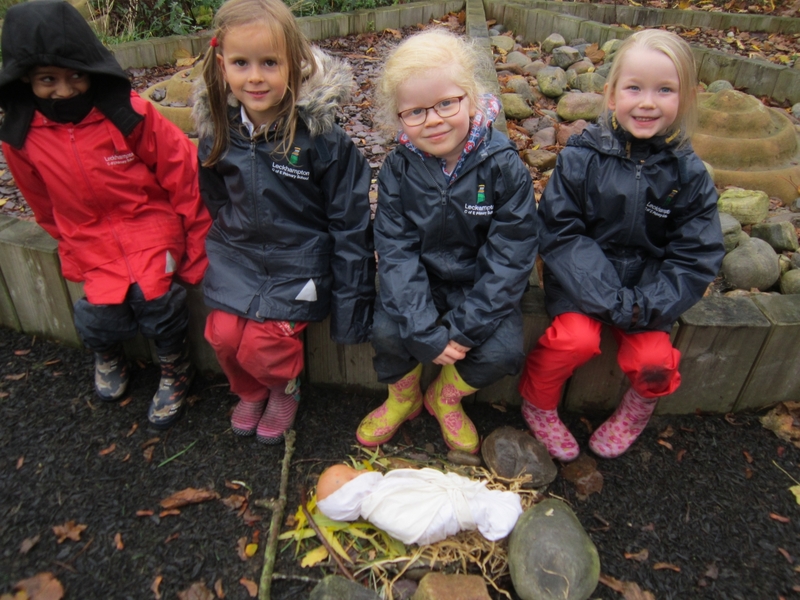 After play we made a little room for a baby. 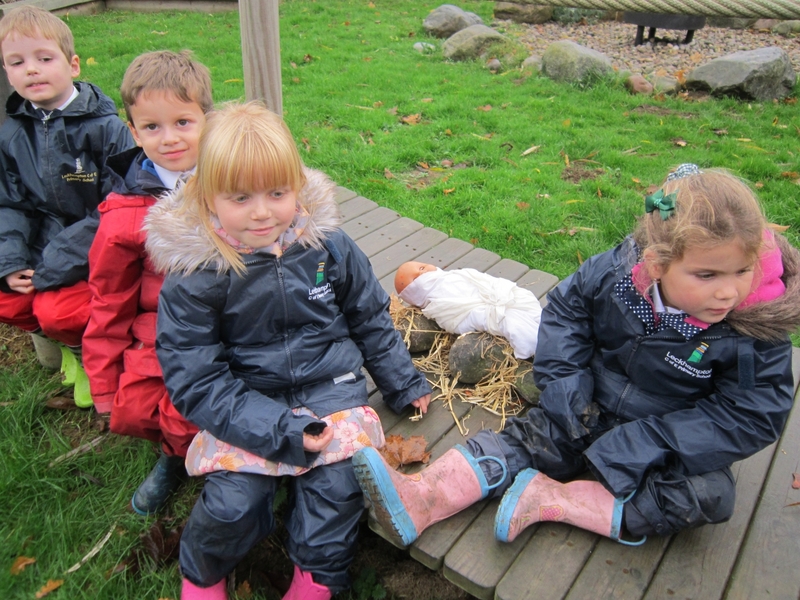 We used string to make the shape of the room, then we made furniture with leaves, seeds, hay and sticks and put labels on. 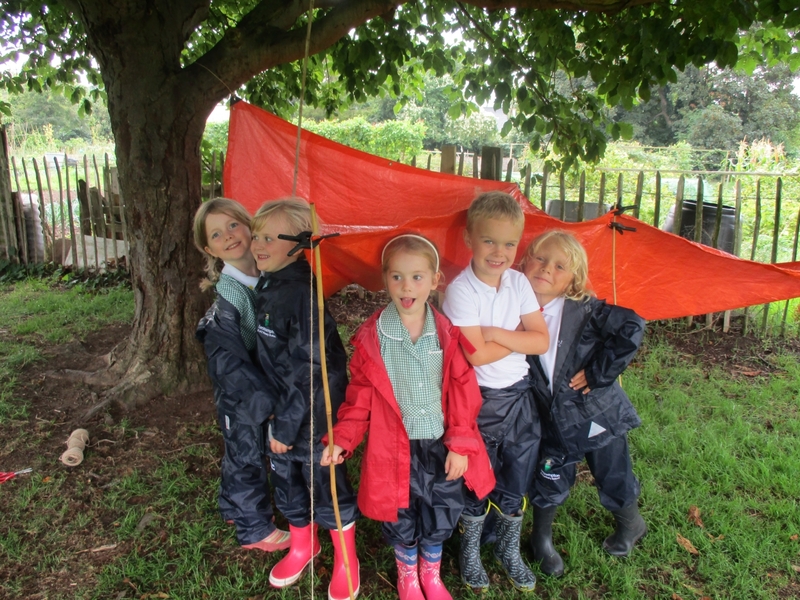 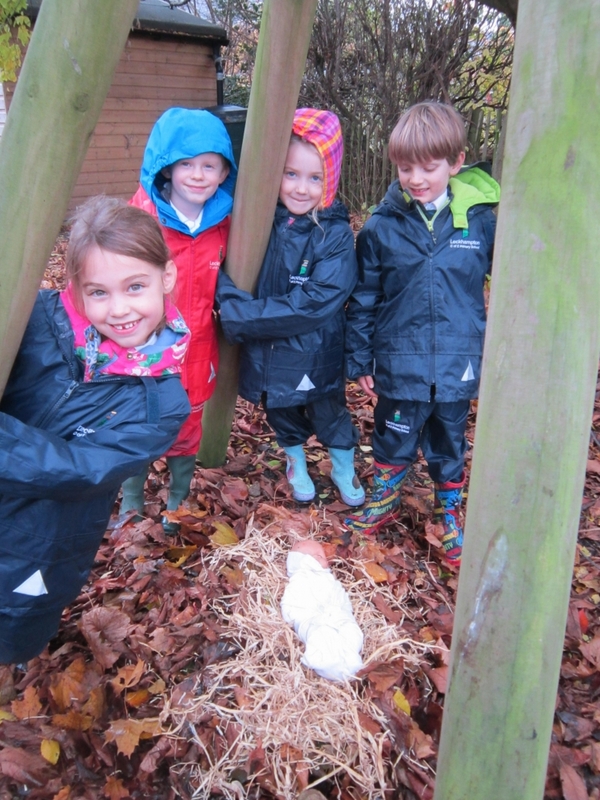 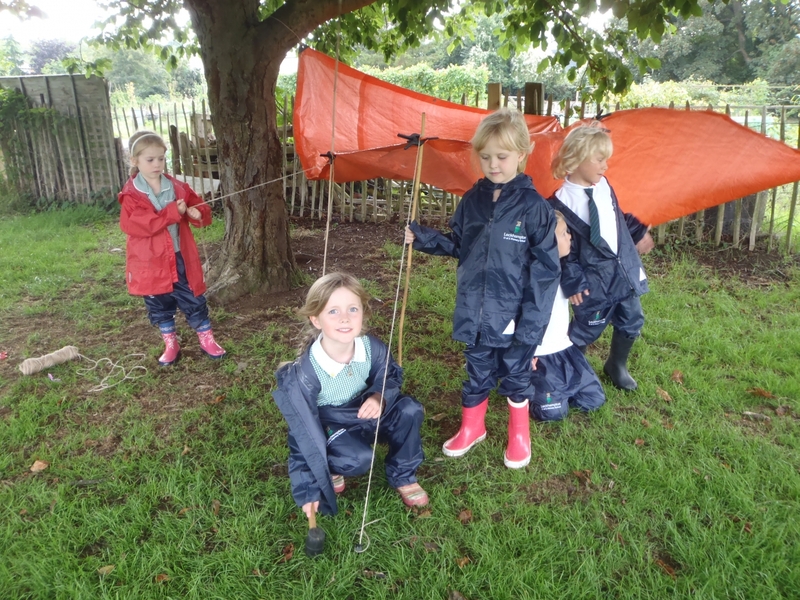 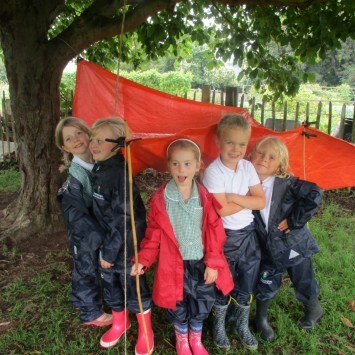 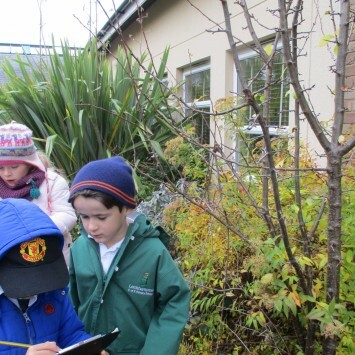 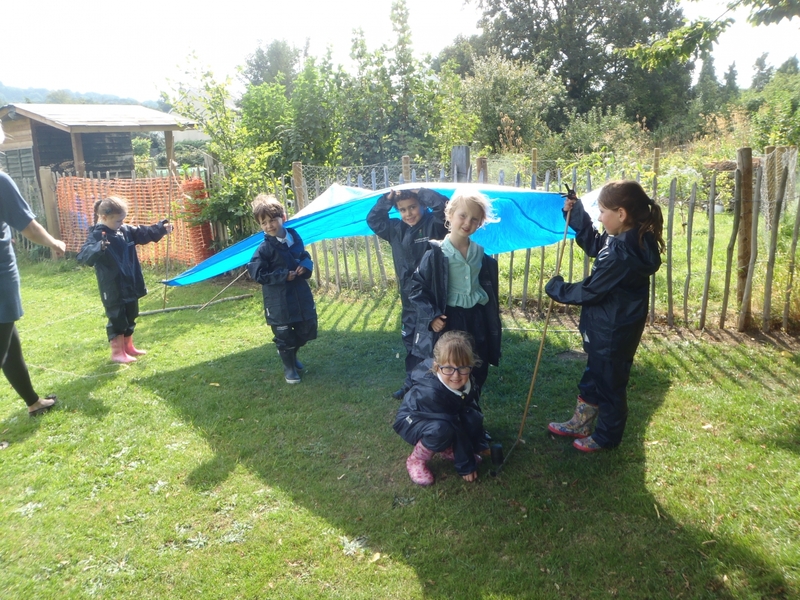 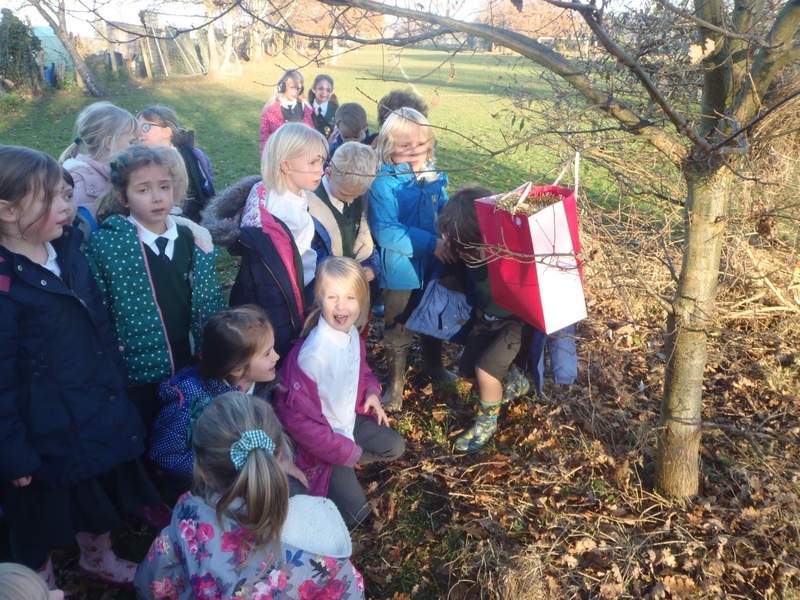 Year 1 have been investigating deciduous and evergreen trees. 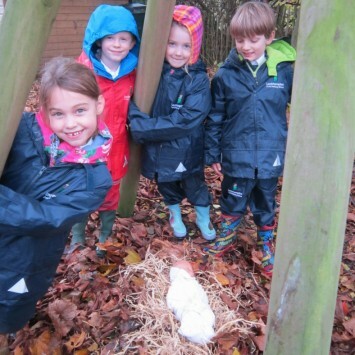 We looked at a photograph of some woodland on a snowy day. 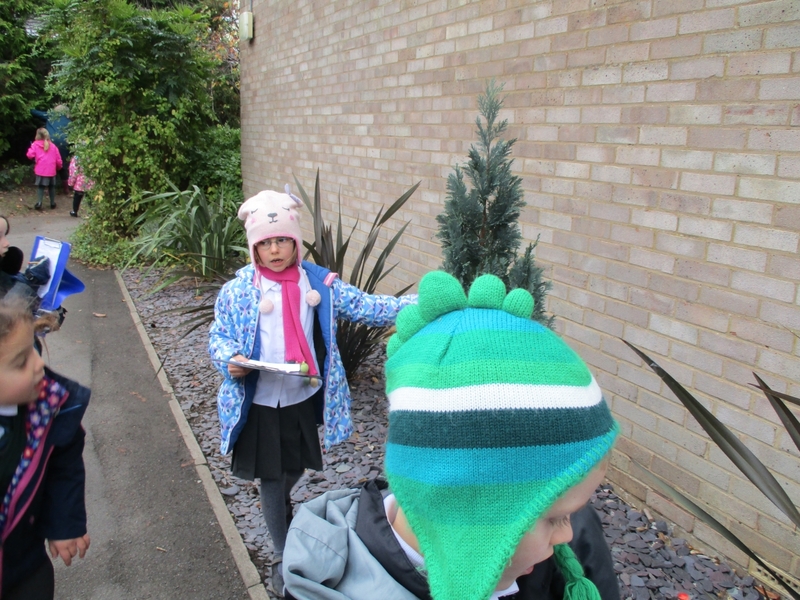 Some trees had no leaves on them at all and some trees were still green and full of leaves or needles! 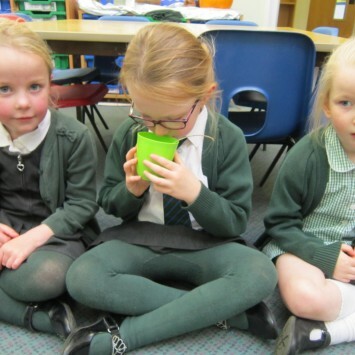 We wanted to find out why. 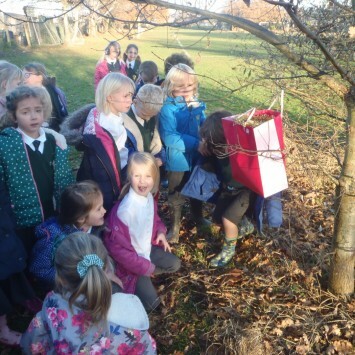 We found out that in the autumn, deciduous trees lose their leaves so that they can save energy. 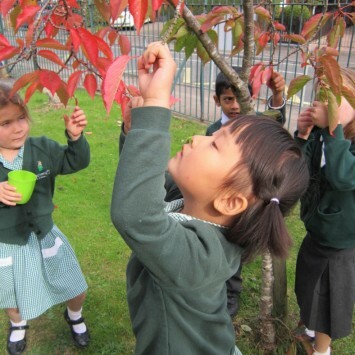 If they didn’t lose their broad leaves, they would get damaged in the cold weather. 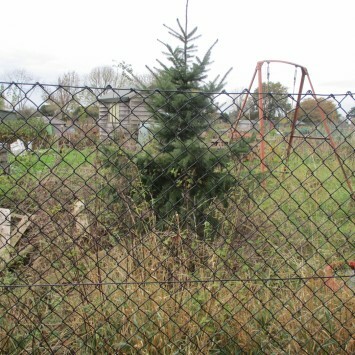 The trees need to have a rest over the winter! 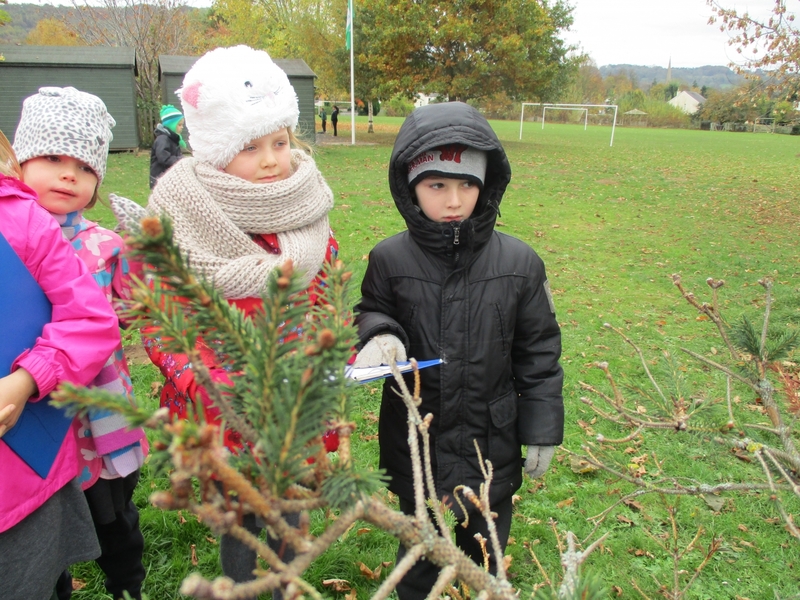 Evergreen trees keep their leaves or needles all year round and they stay green. 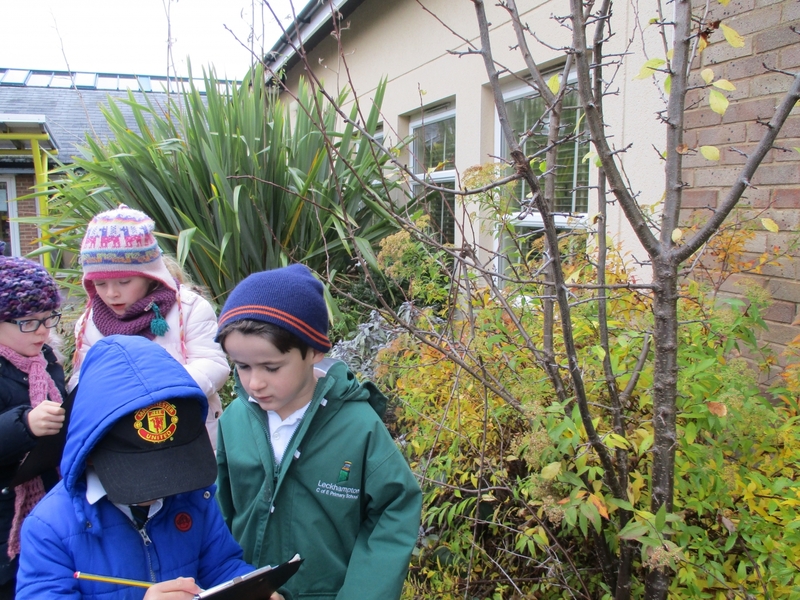 We went on a search for deciduous trees and evergreen trees outside. 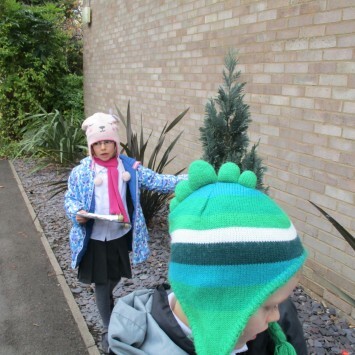 We predicted there would be many more deciduous trees than evergreen. 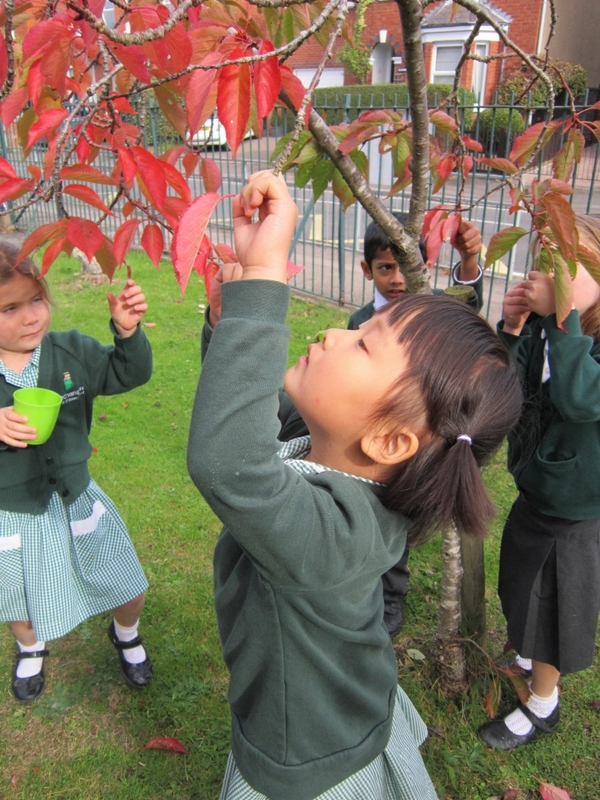 We could tell by the thousands of beautiful leaves on our school field at the moment! 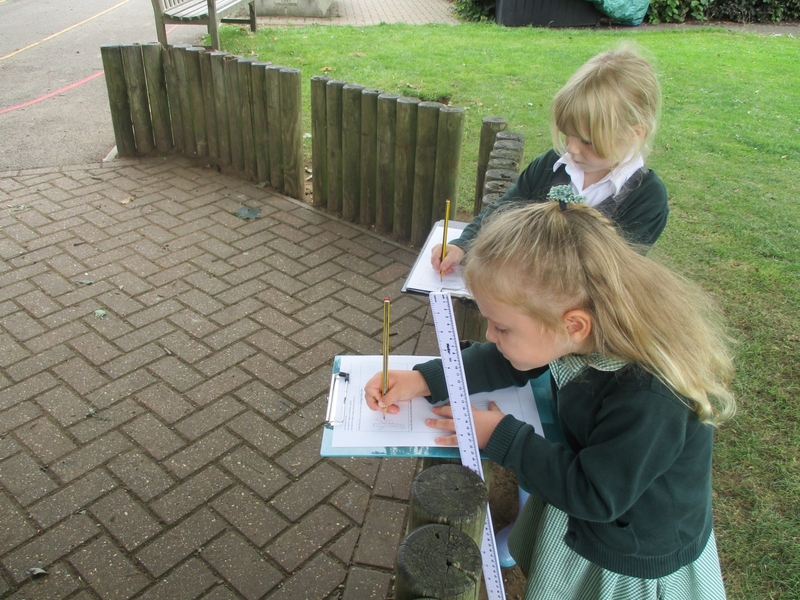 We made tally charts to help us to keep count. 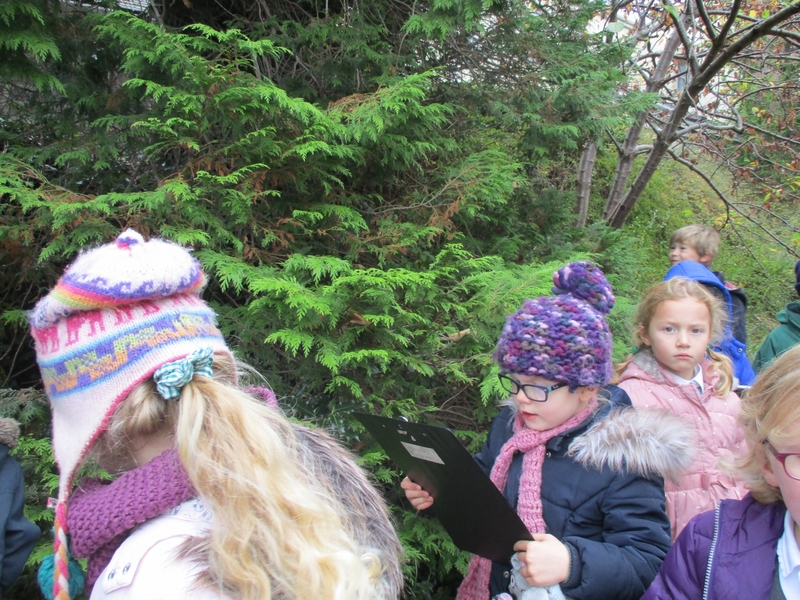 We all found more deciduous trees but we do have plenty of evergreen too. 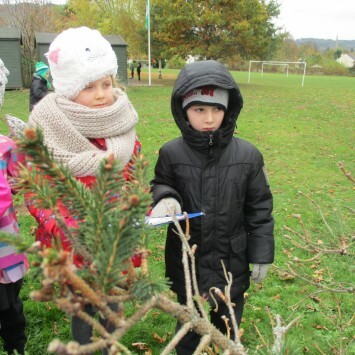 Joshua thought of a reason why some evergreen trees are triangular. 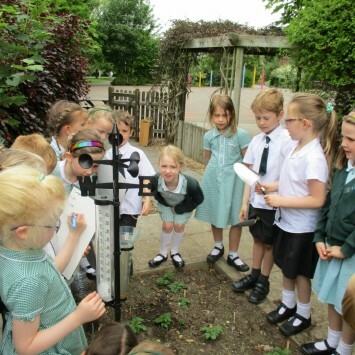 If the top leaves were as big as the bottom then they wouldn’t be able to cope with all the snow or ice they would have falling on them over winter. 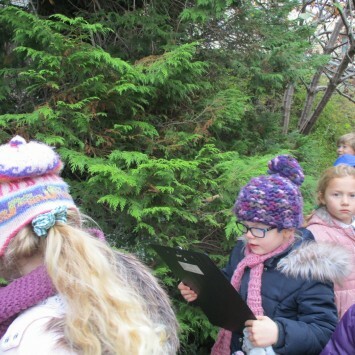 Delphine and Bo noticed that some evergreen trees smell fresh. 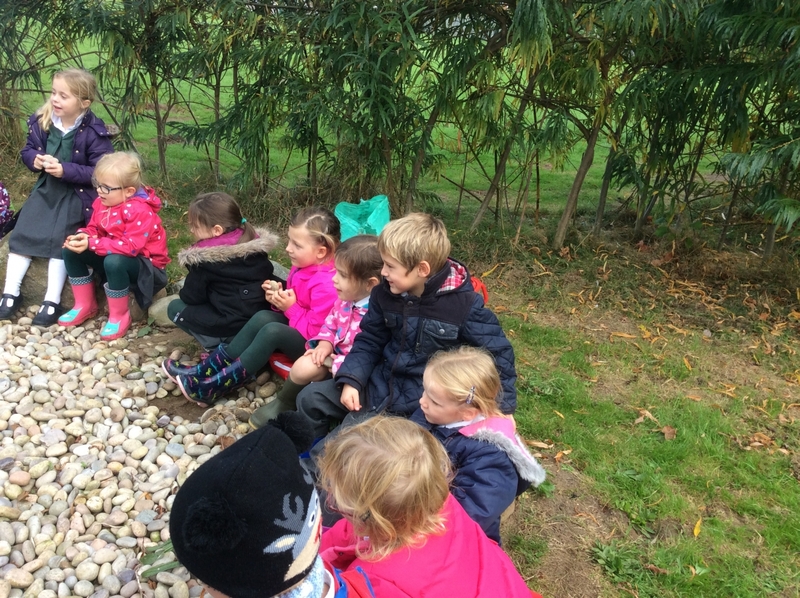 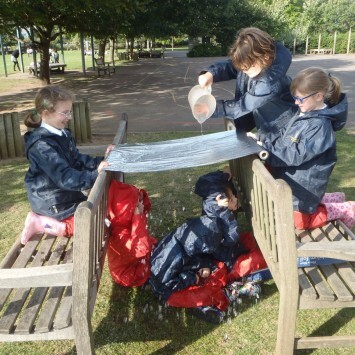 We had lots of fun outdoors! 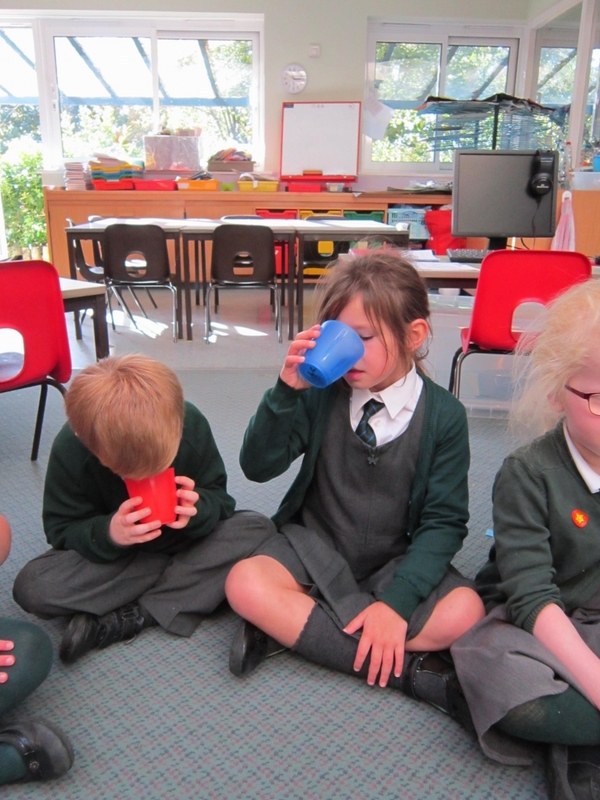 We used our noses and sense of smell today. 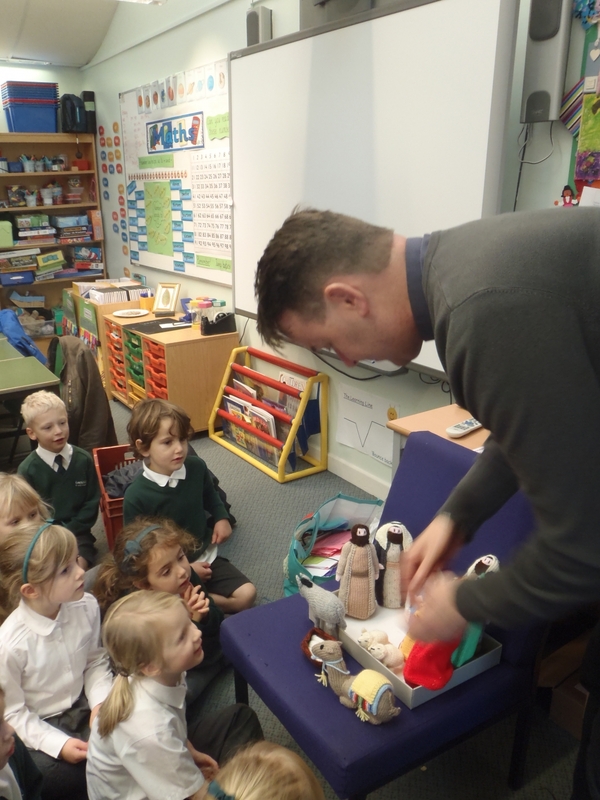 In pairs we made a perfume. 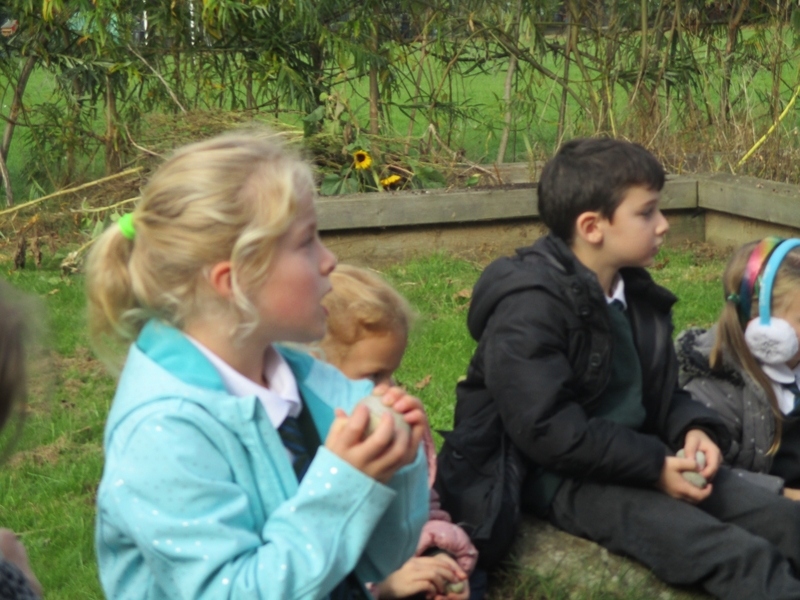 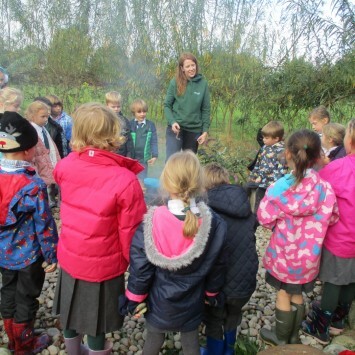 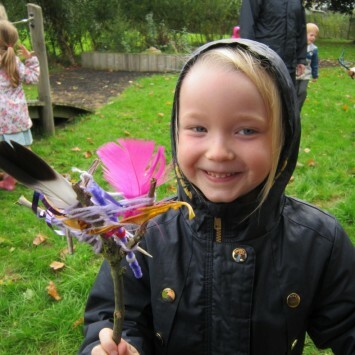 First we rubbed a leaf or flower and smelt our fingers. 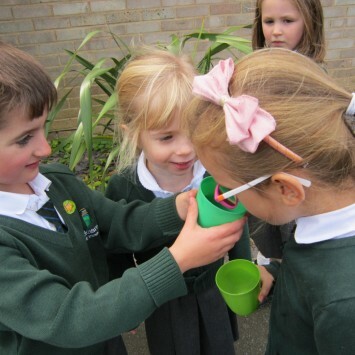 If it was nice, took a little bit of the leaf and put it in our pot. 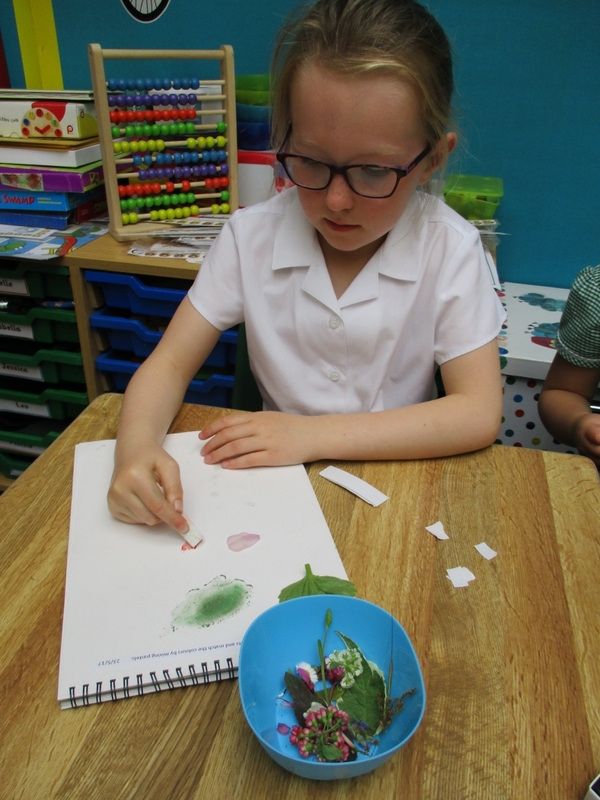 We added lots of different leaves, grass, flowers and even mud. 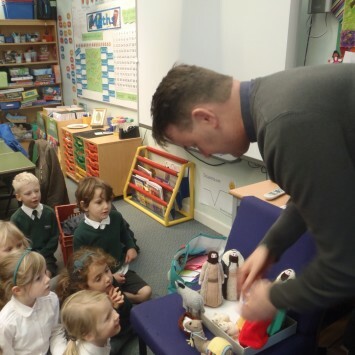 Then we gave our perfume a name. 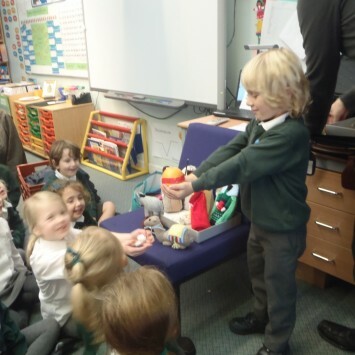 Some of the names were; Ruby, Apple tree, Lilybelle, Lovely Orange and Lavender. 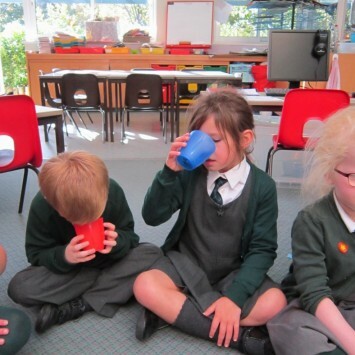 Back in the classroom we passed our perfumes around the circle and tried smelling them all. 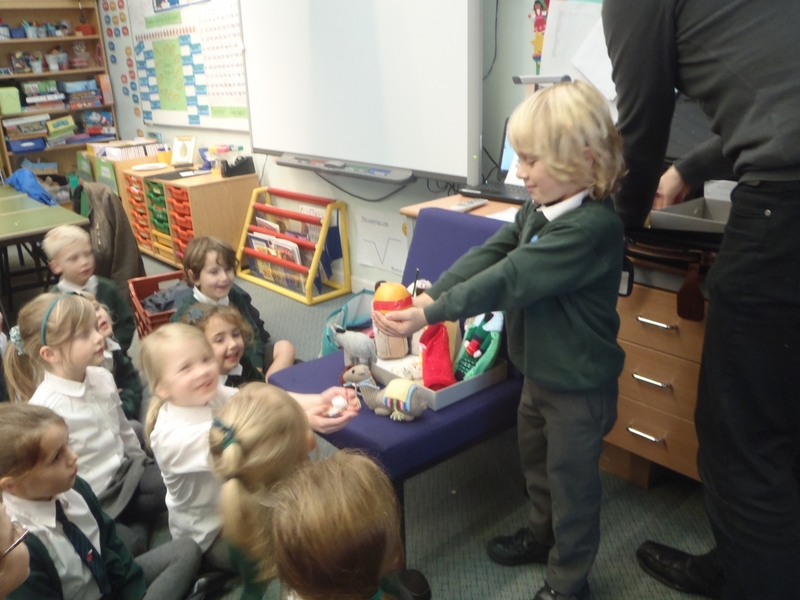 Some we liked and some we didn’t! 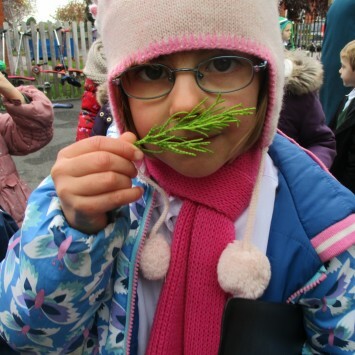 Some of us want to try making perfume at home now. 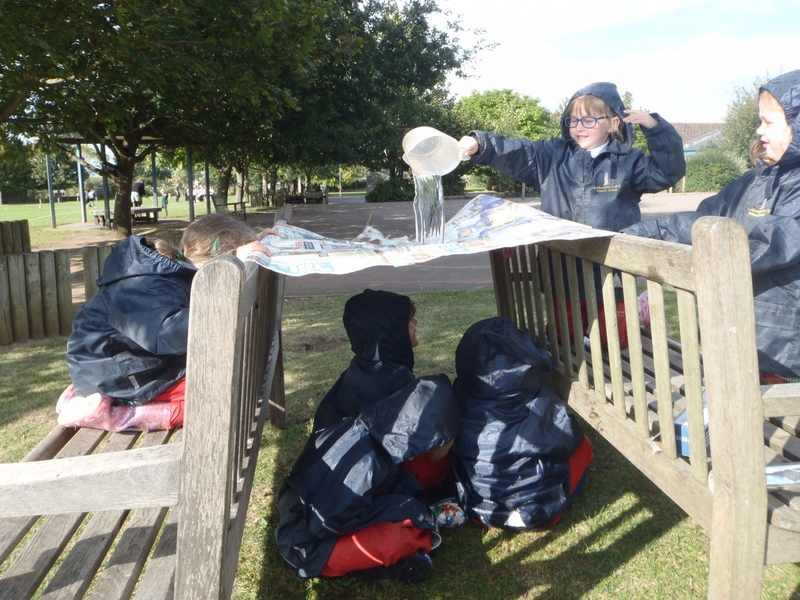 We have had a fun afternoon in year 1! 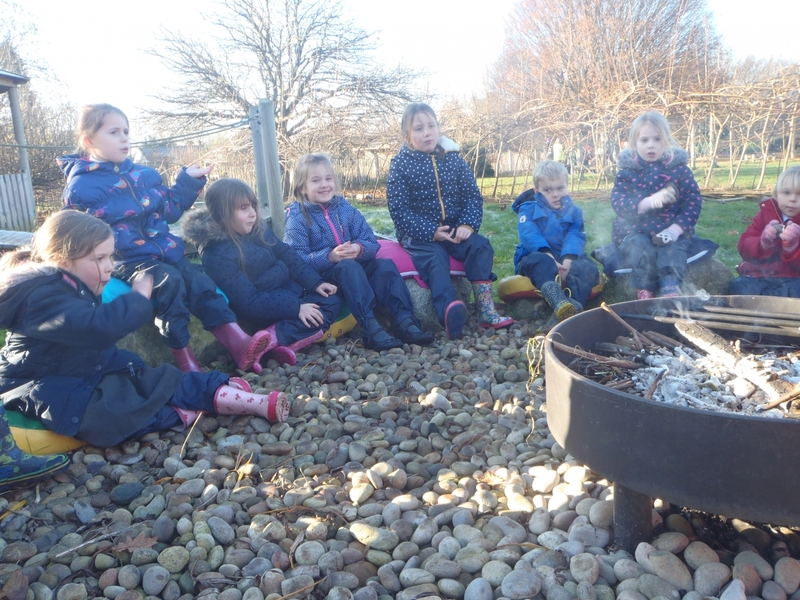 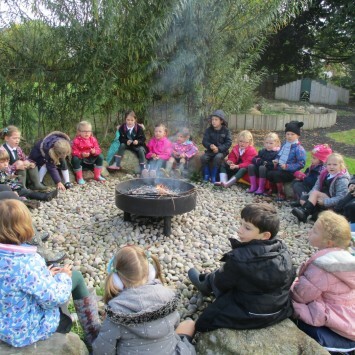 We went outside into the woodland area to have a campfire. 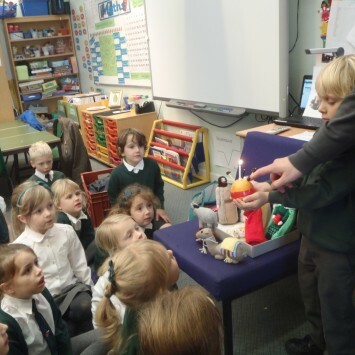 Mrs Daly lit the fire. 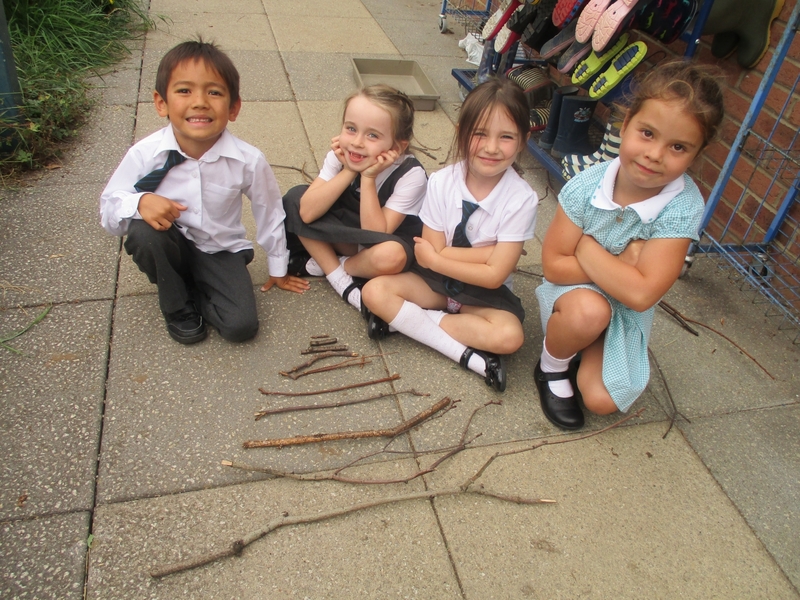 Mrs Thomas chose Amelie and Delphine to choose some sticks. 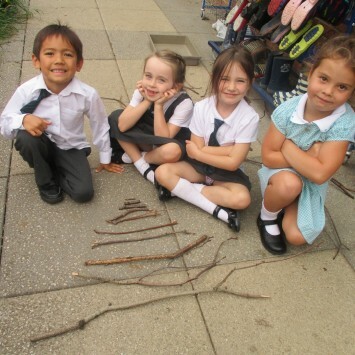 Amelie said the sticks felt bumpy. 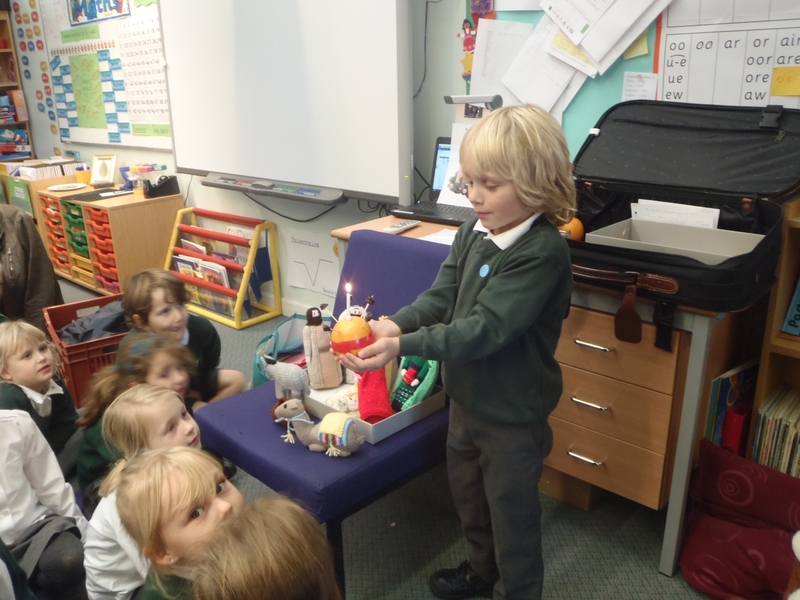 We could see orange, red and yellow flames. 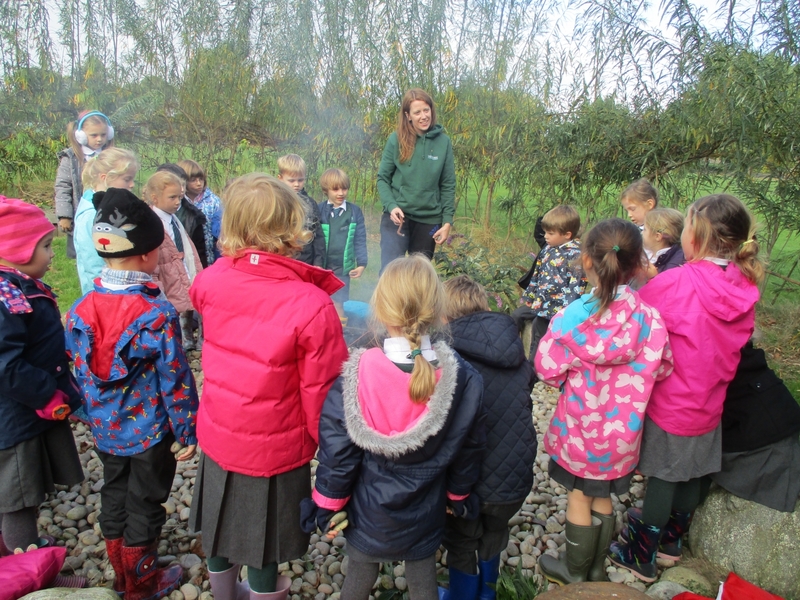 There was lots of smoke which was grey, black and white. 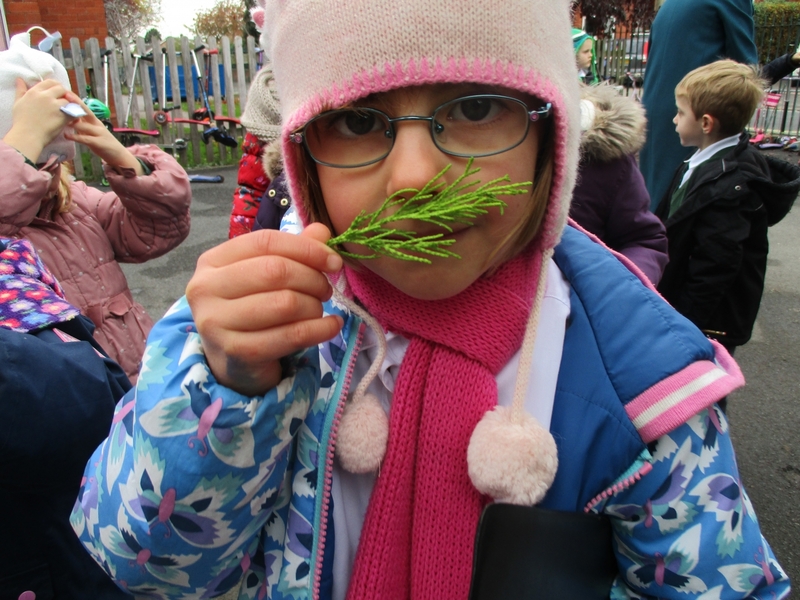 The smoke made us cough a little and it got up our noses. 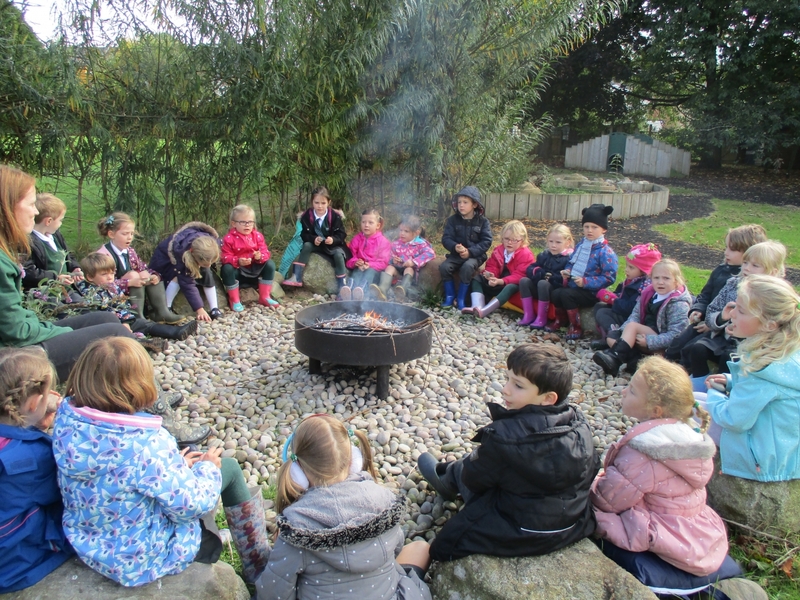 The fire popped and clicked and crackled. 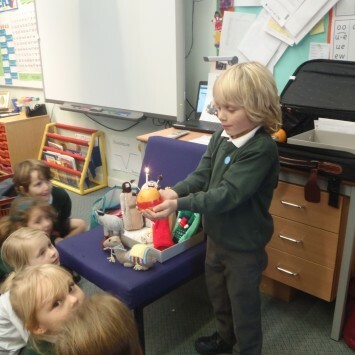 It sizzled loudly. 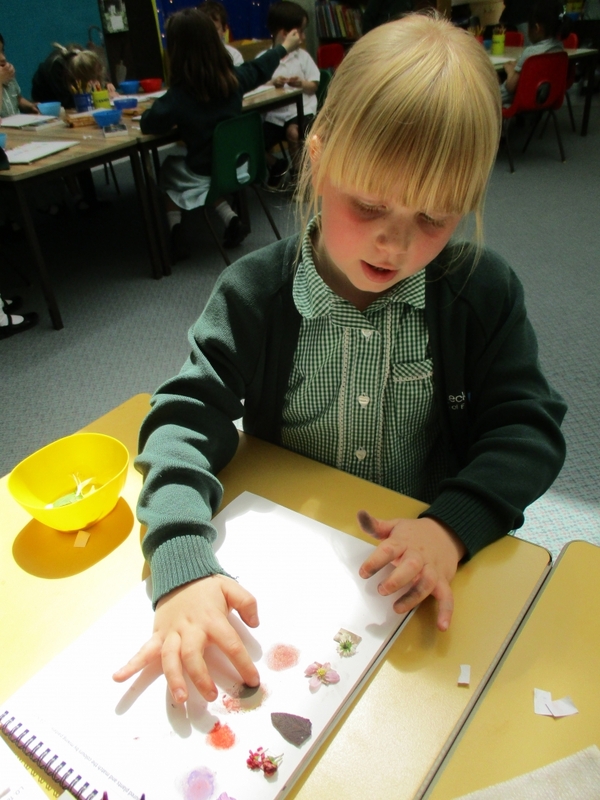 Josh said that it sounded like clicking. 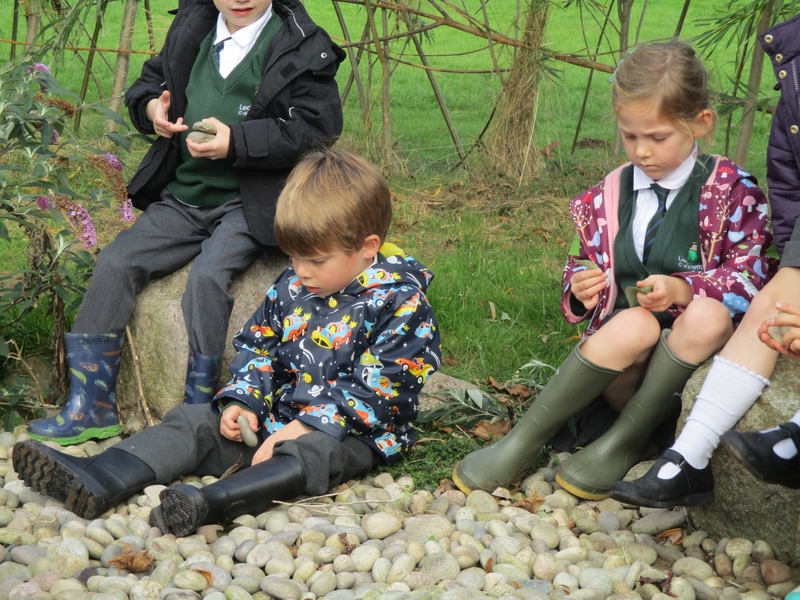 We sang some songs, knocking two pebbles together to keep the beat. 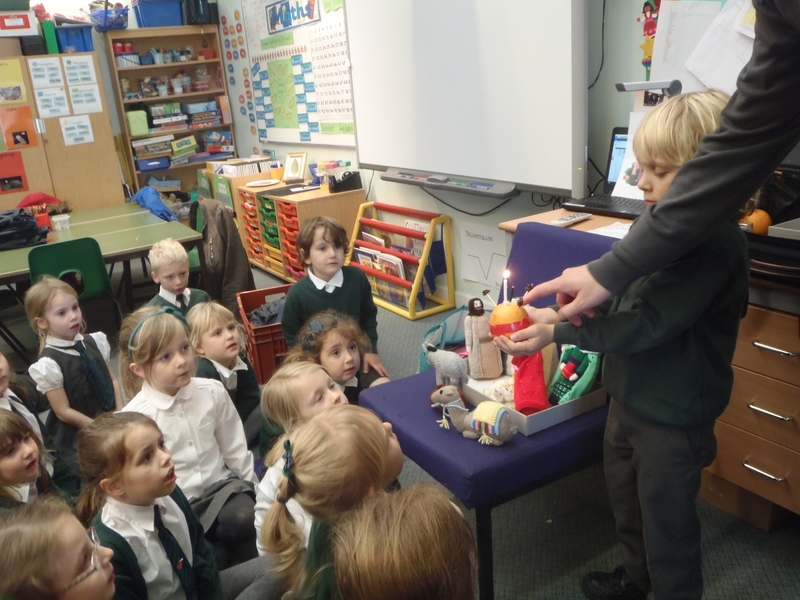 We sang Twinkle Twinkle Little Star and some other songs too. 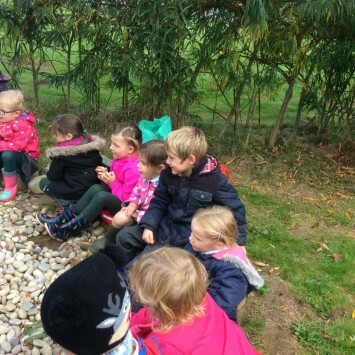 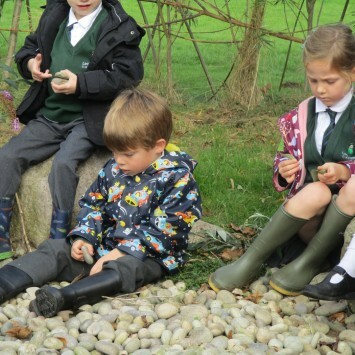 Louis saw a small spider scurrying along the pebbles. 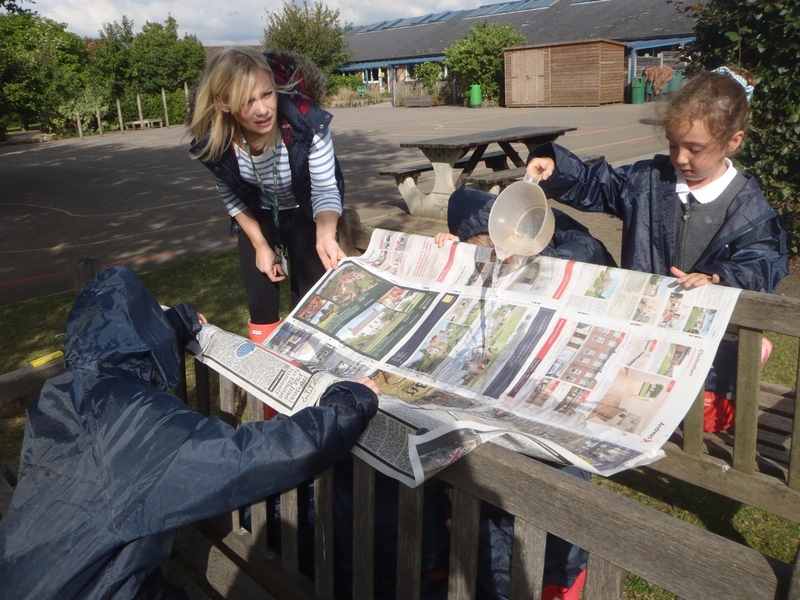 Today we completed an investigation to find out which materials would be best to make a roof for a new shelter in school. 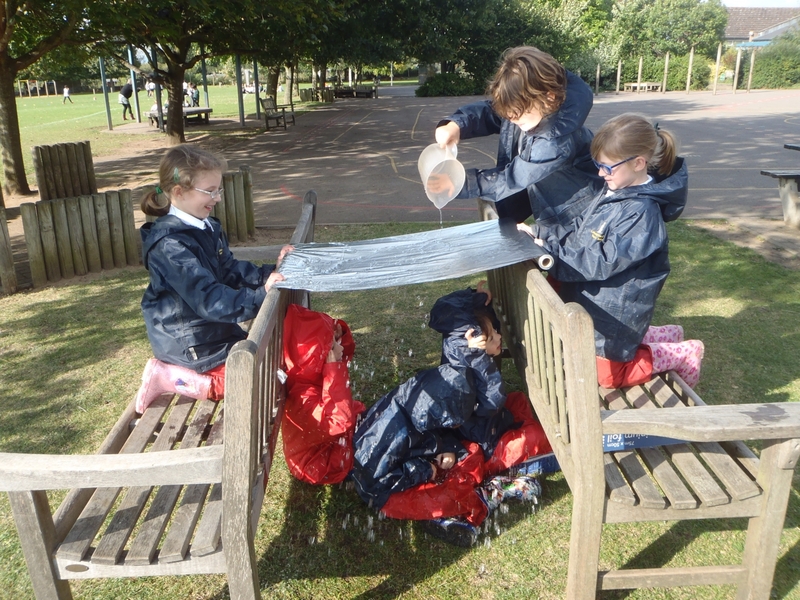 We decided that our material had to be waterproof. 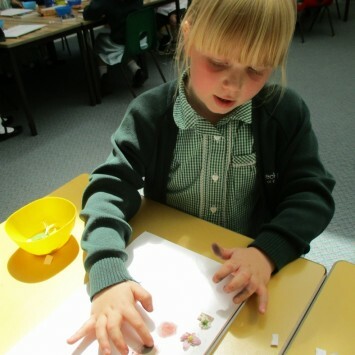 We tested paper, plastic, foil and fabric. 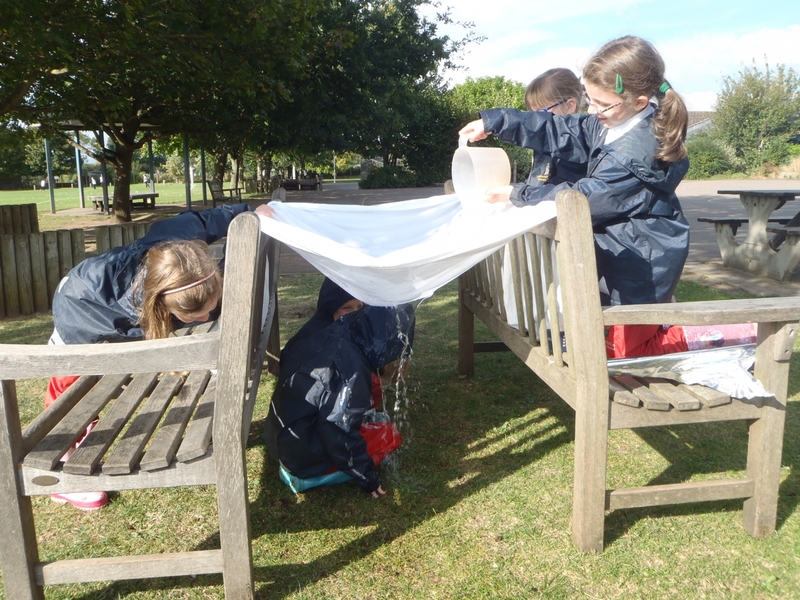 We wanted to be really good scientists so we thought carefully about keeping our test fair. 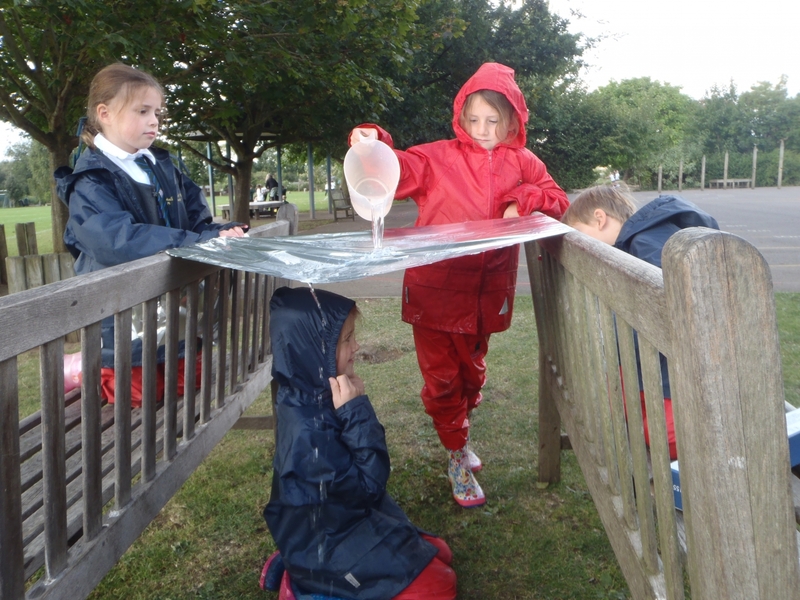 To do this we poured the same amount of water on to each material to see if the water would pass through the material or sit on top of it. 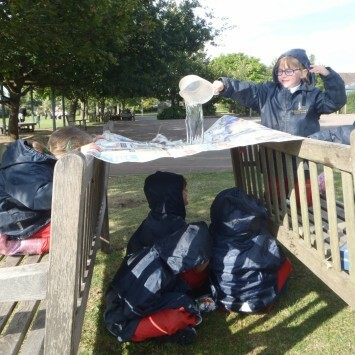 We found out that fabric and paper are not waterproof and that although foil is waterproof it’s not a very strong material. 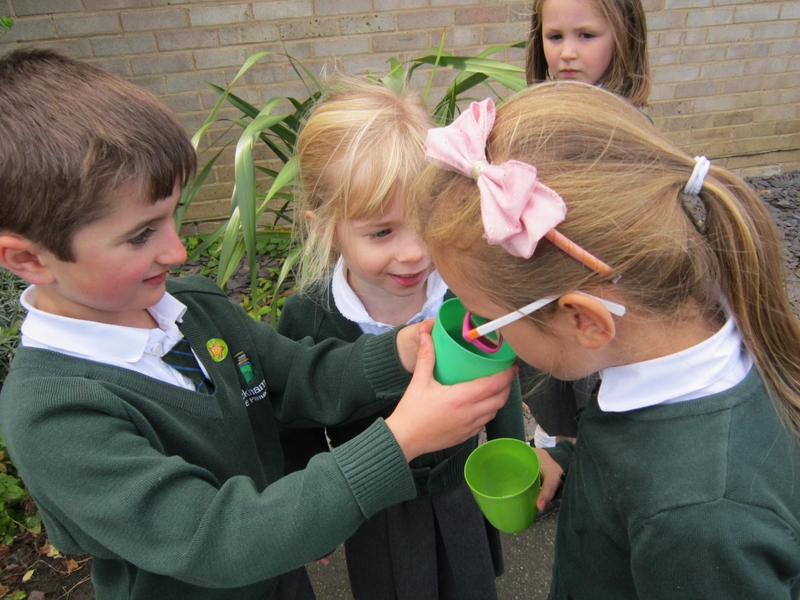 We had lots of fun testing our materials. 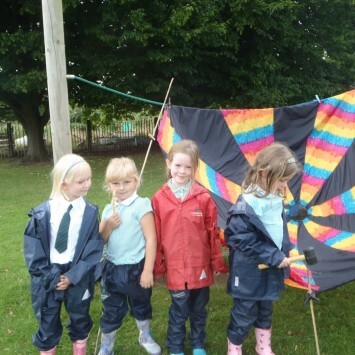 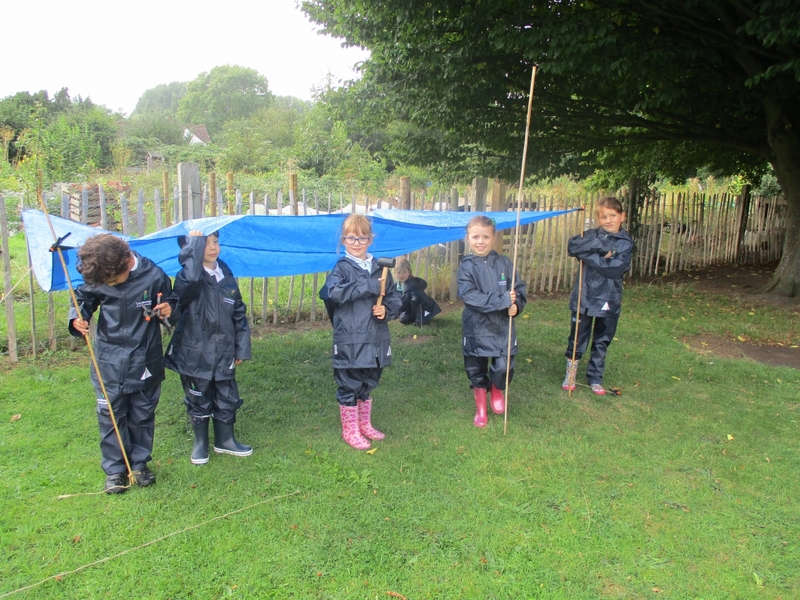 Luckily we didn’t get wet because our outdoor suits are waterproof! 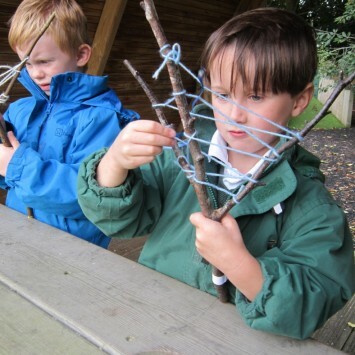 We brought in 3 pronged sticks and did weaving with different coloured wool. 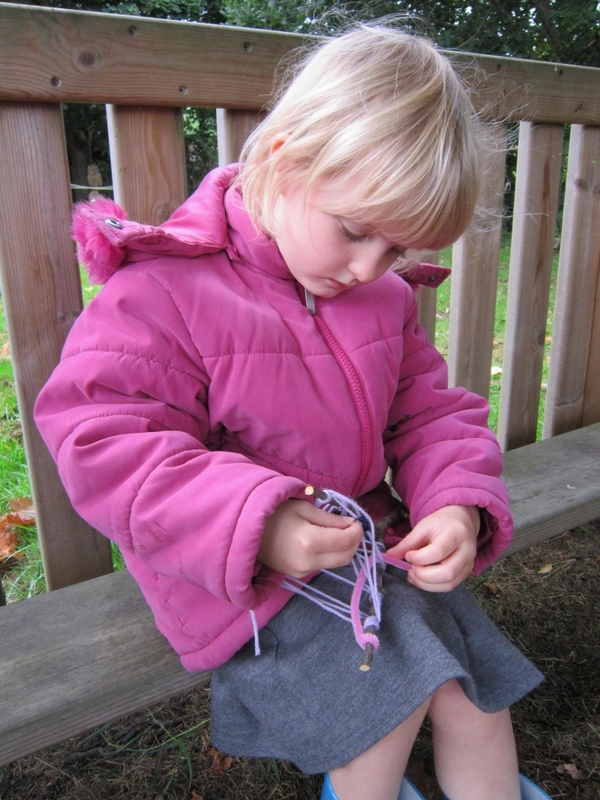 The wool was the weft. 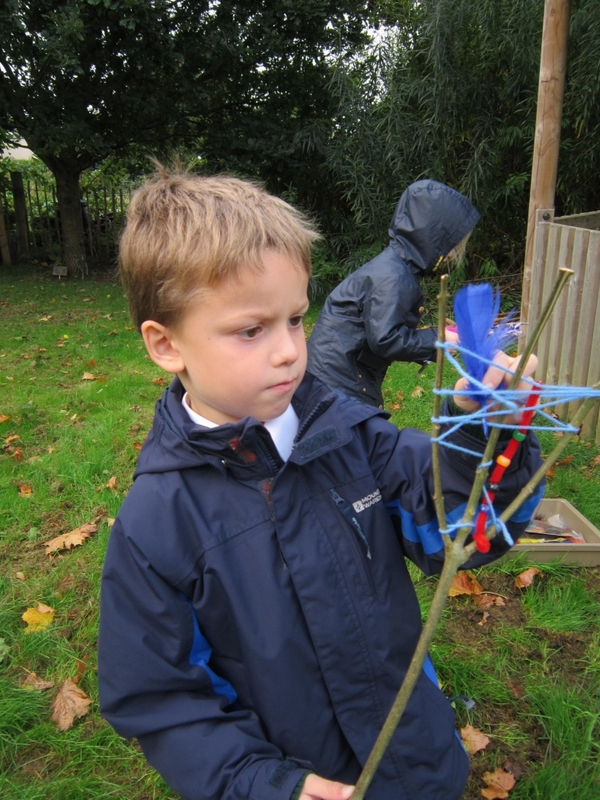 Then we went into the woodland to find things to go on our sticks. 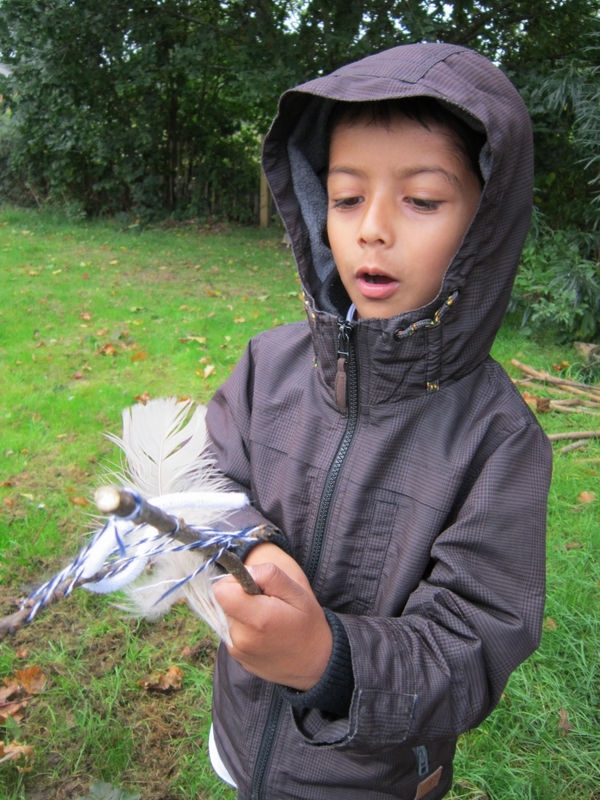 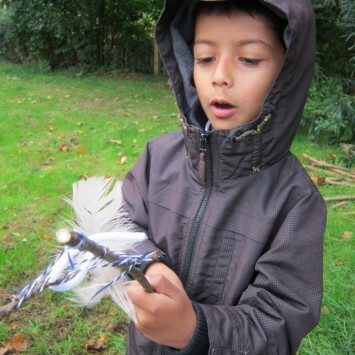 We found feathers, leaves, sticks and Leo found a horse chestnut leaf. 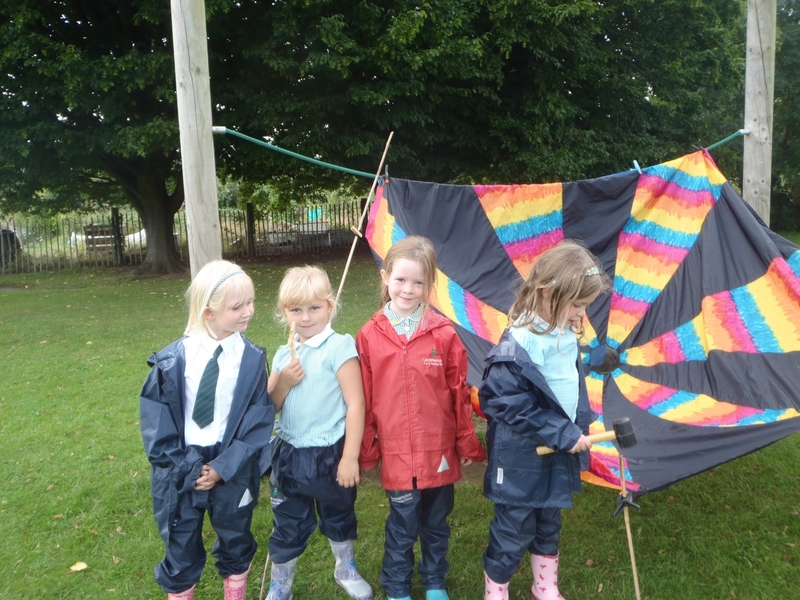 We weaved them in and out of the wool. 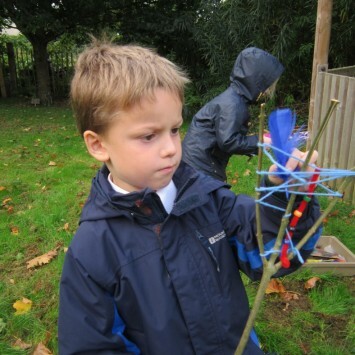 Quinn remembered this is called the warp. 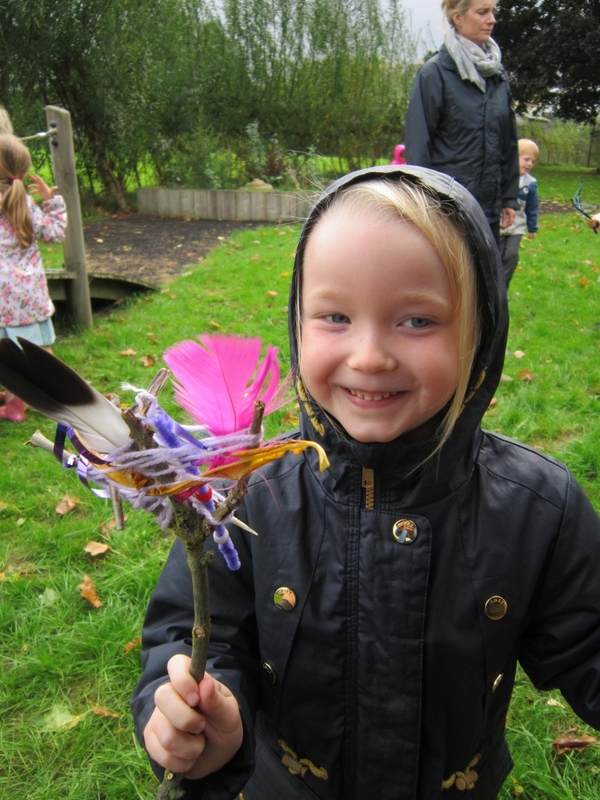 We added some pipe cleaners, feathers, beads and ribbon from the classroom. 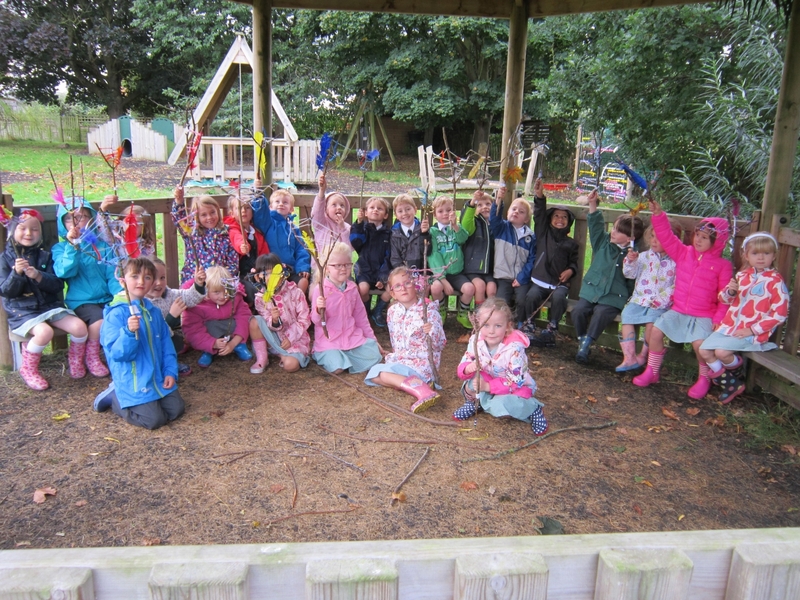 Ellie says it was really good fun and Prudence says we like our sticks! 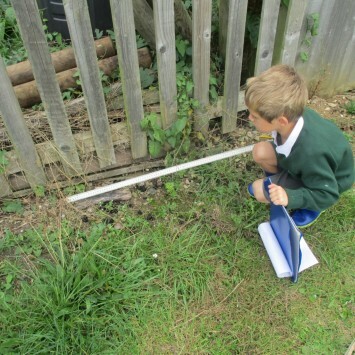 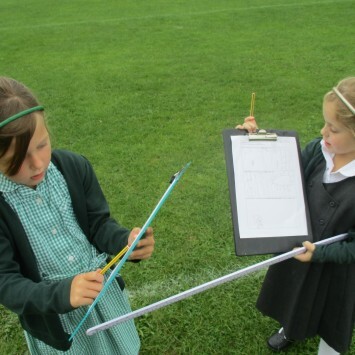 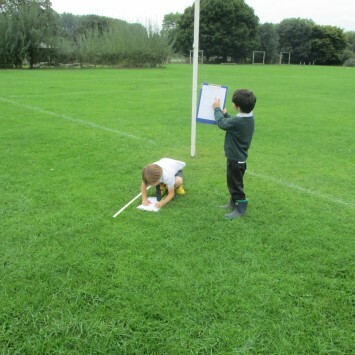 Today we took our metre rulers outside and measured all sorts of different things. 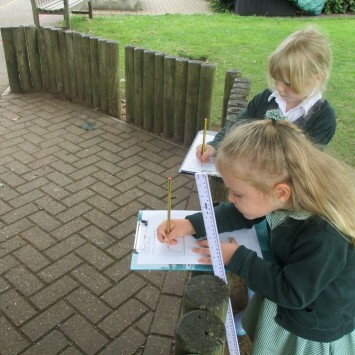 We recorded what we measured in a chart. 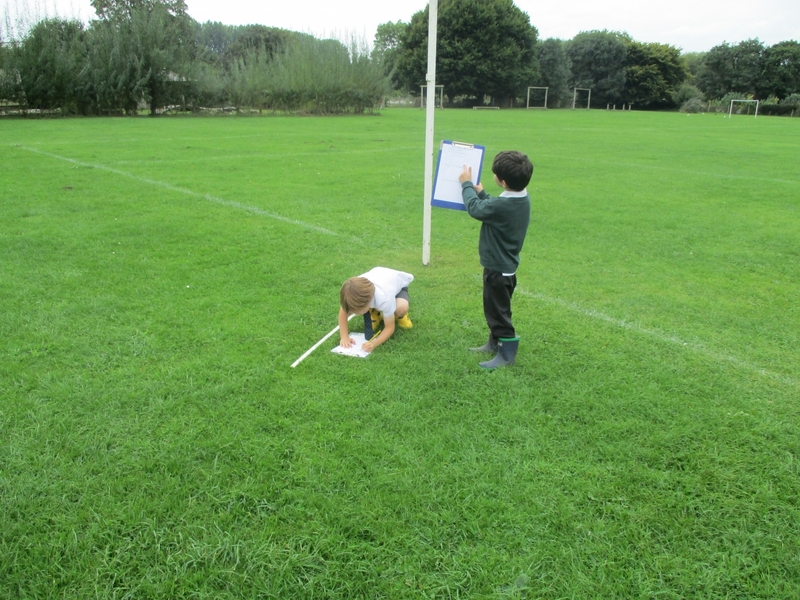 We measured to find objects that were longer than a metre, shorter than a metre and even shorter than a pencil! 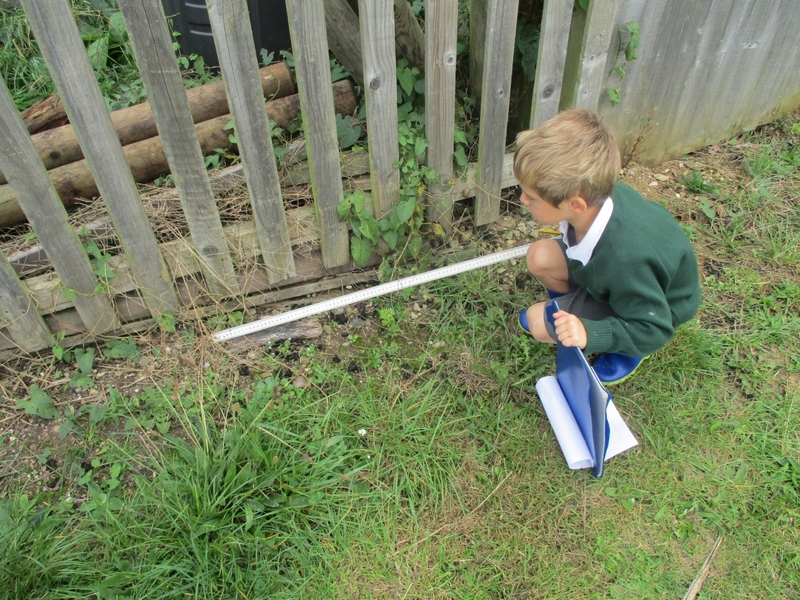 We measured the goal post and the fence. 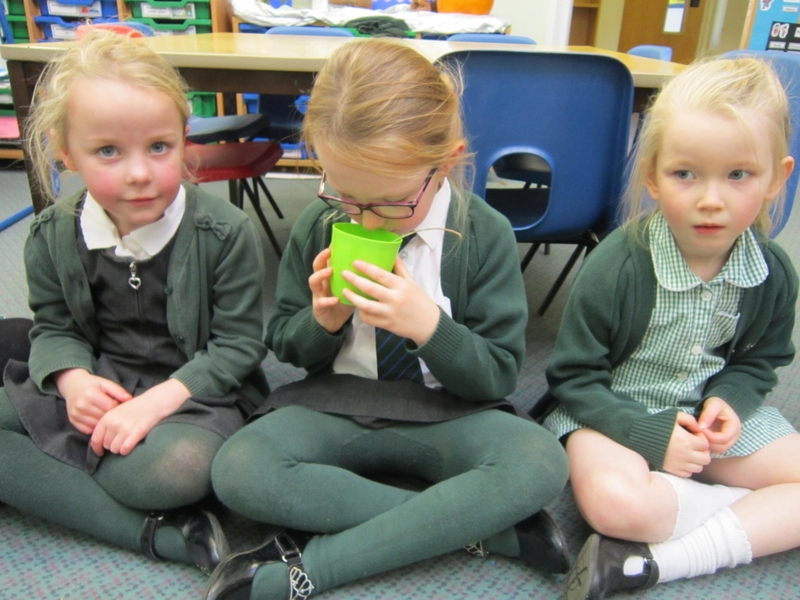 They belonged in the longer than a metre box. 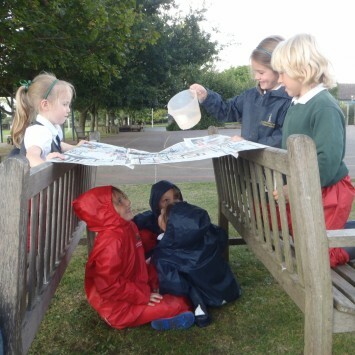 Charlotte and Moses knew without measuring that they would be longer! 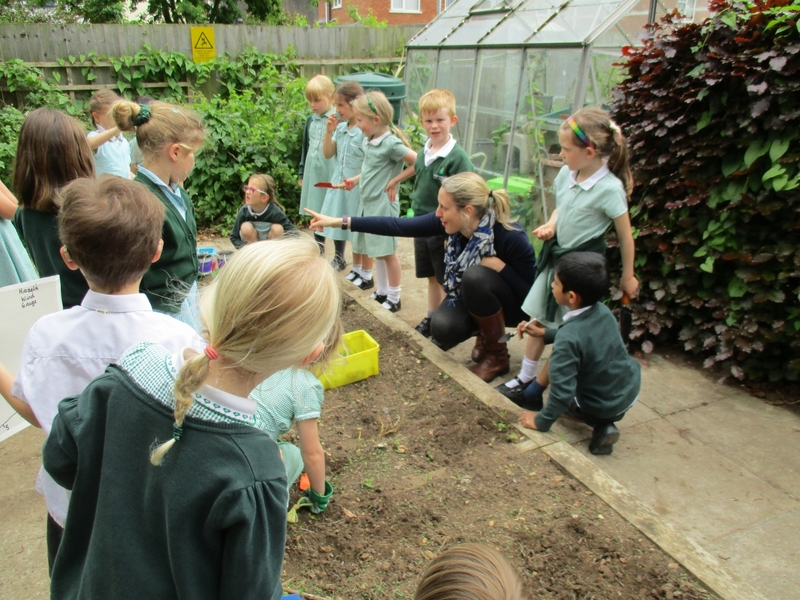 We found an orange ladybird which was much, much shorter than a pencil! 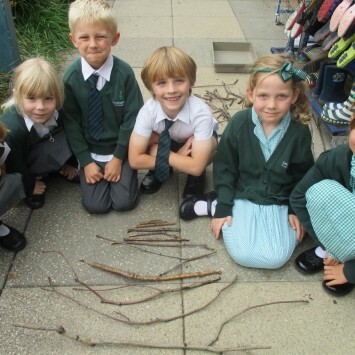 We collected twigs and ordered them from shortest to longest. 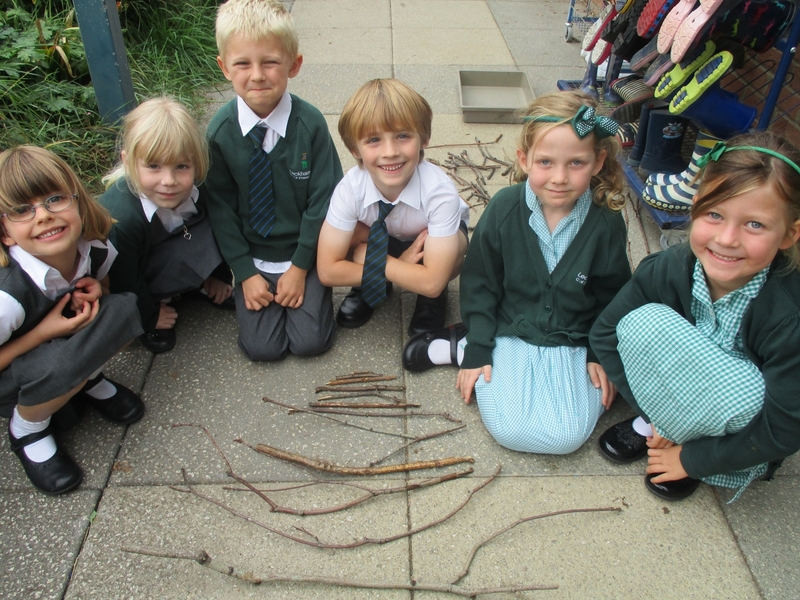 We made twig triangles. 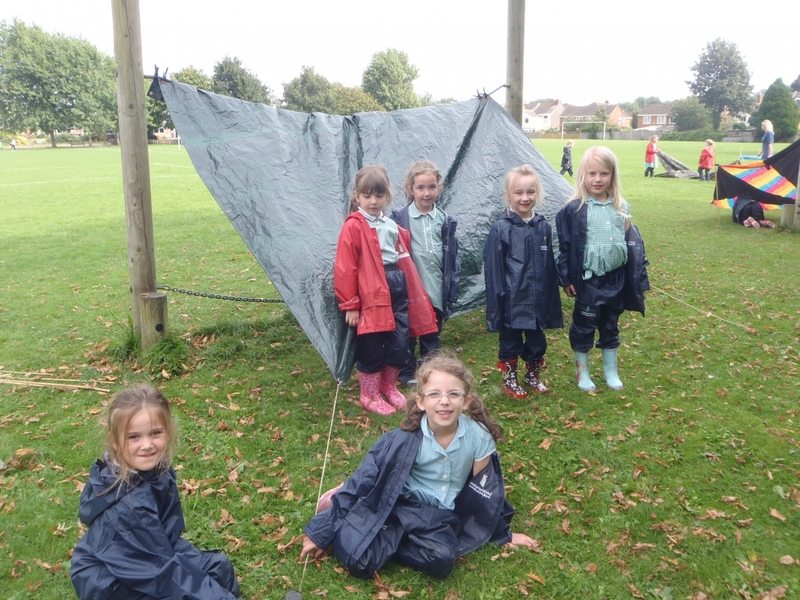 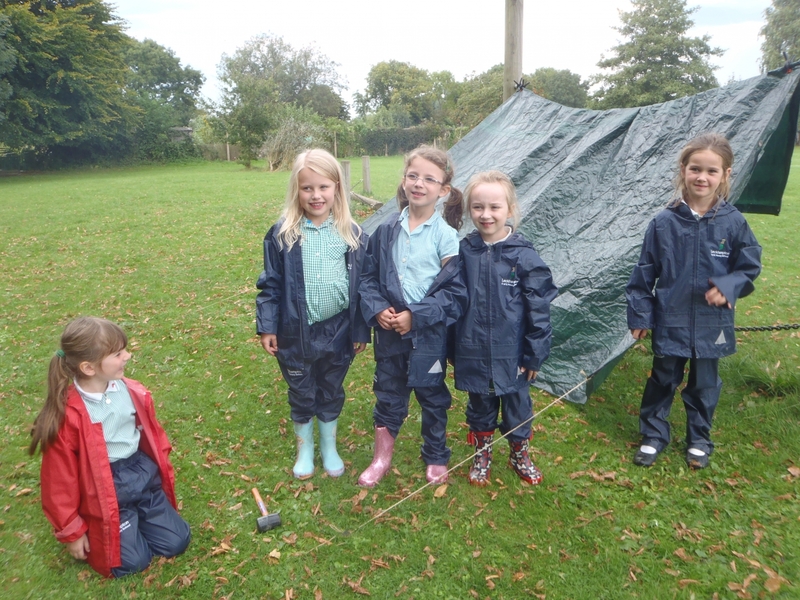 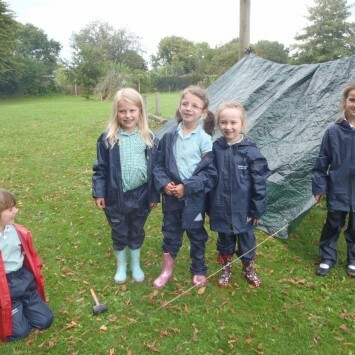 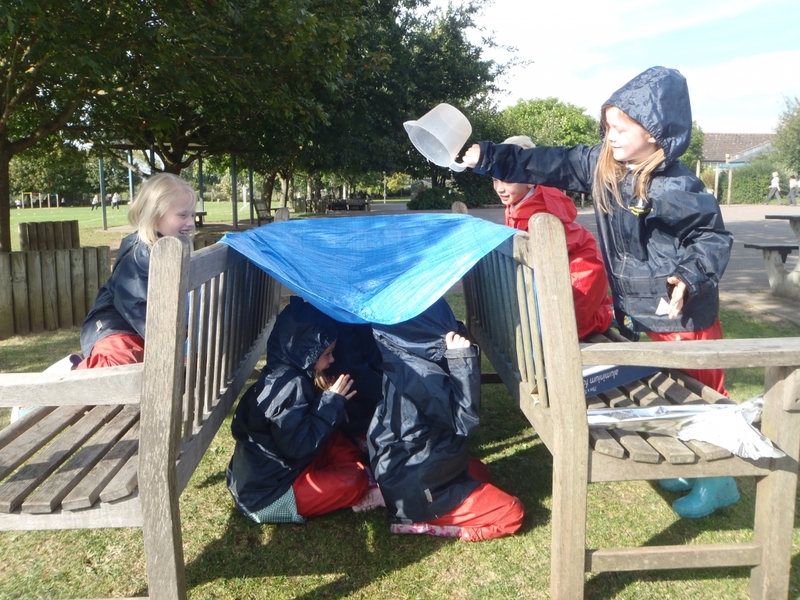 This afternoon we made dens! 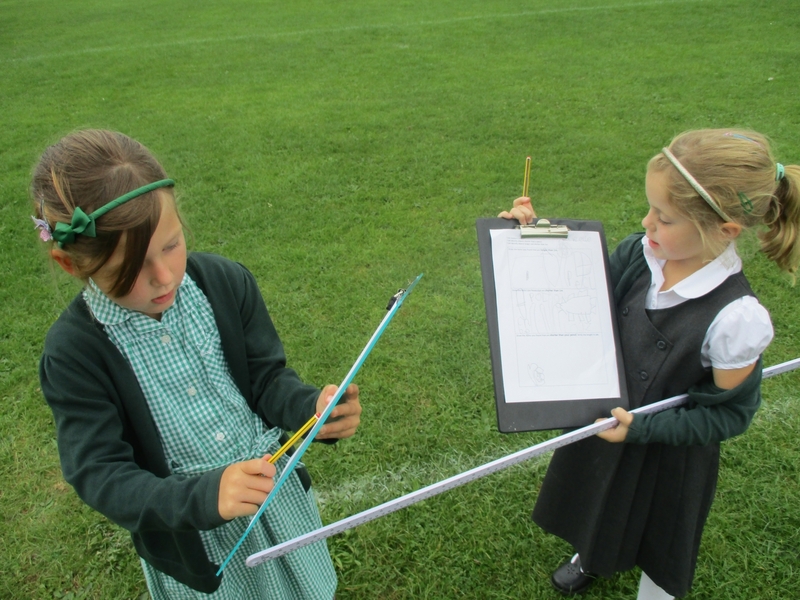 Firstly we looked at all our equipment. 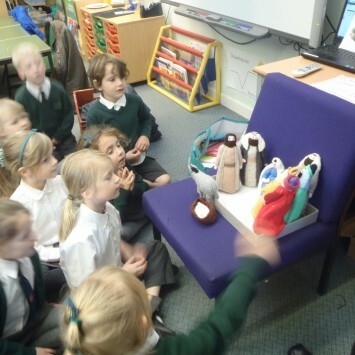 We had lots of objects to make our den with. 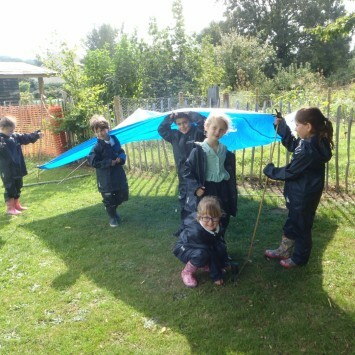 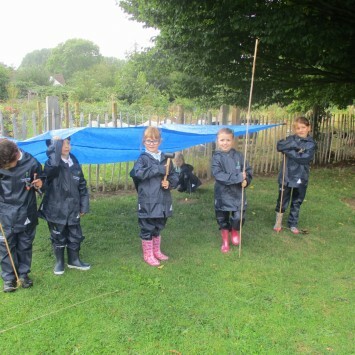 We had a plastic sheet, sticks, pegs to clip with, pegs to put in the ground and some string. 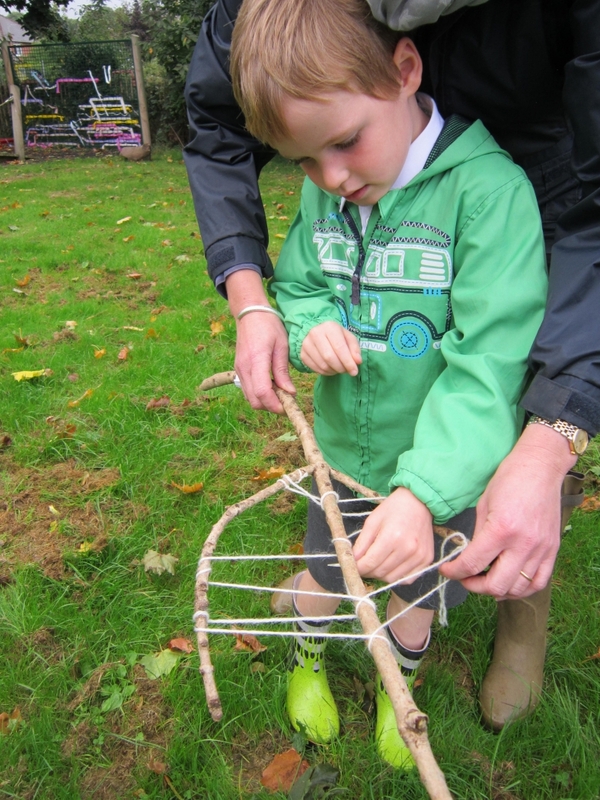 We also had a big hammer to help us hit the pegs into the ground. 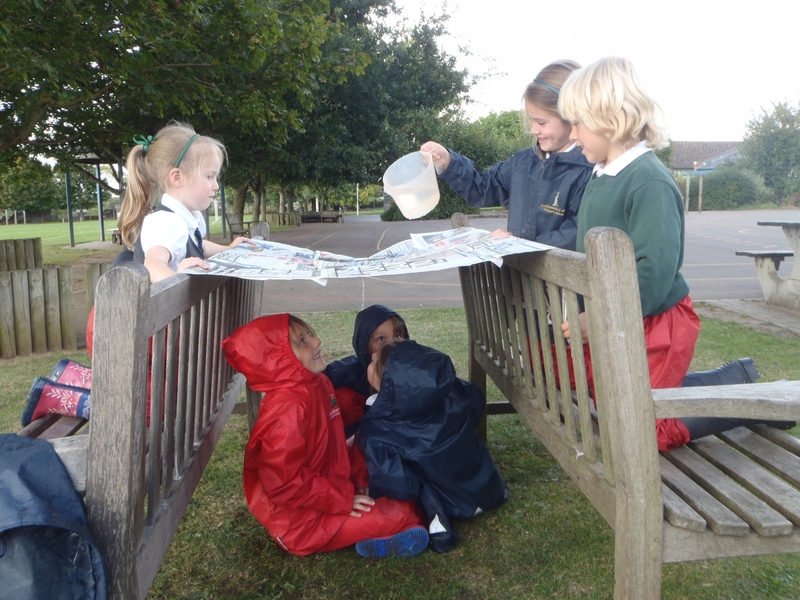 We took our equipment outside. 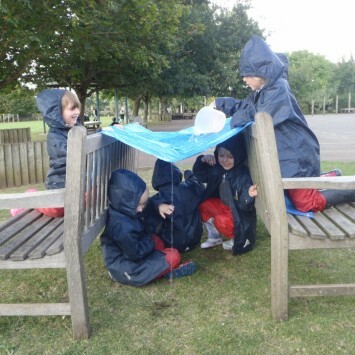 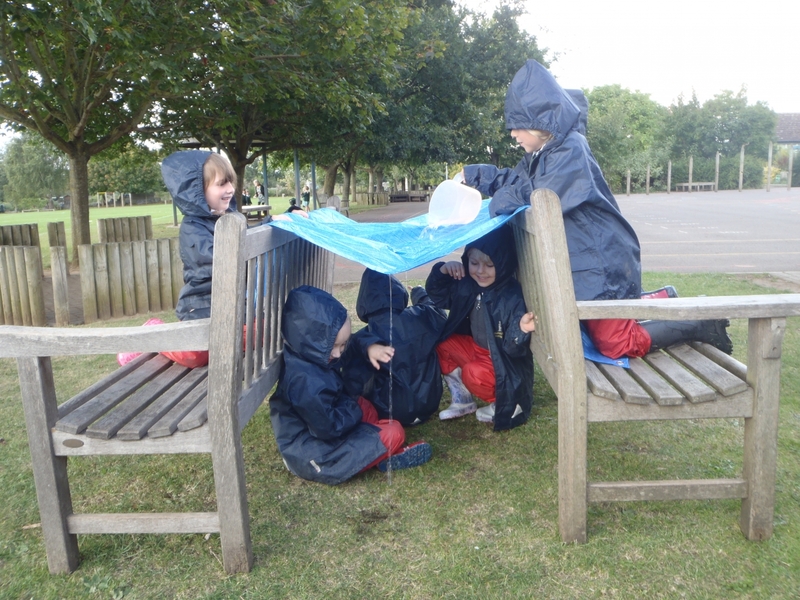 It was quite a windy and rainy day so we had to work really hard together to find good places to start building. 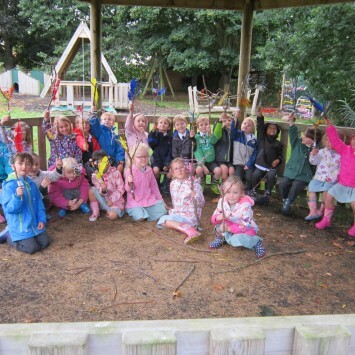 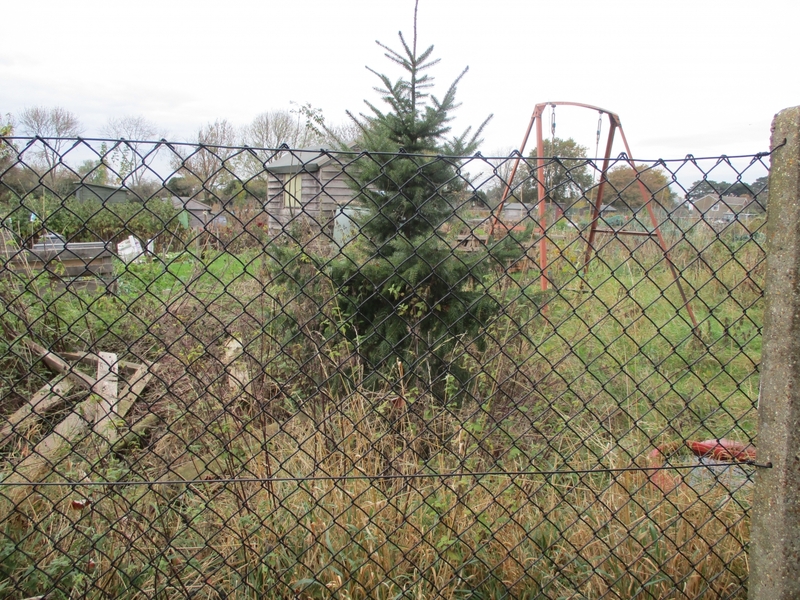 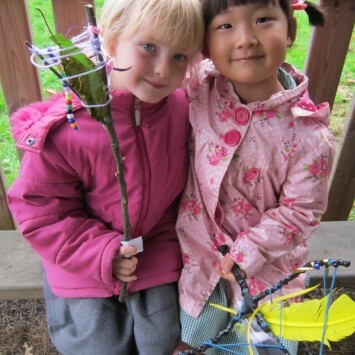 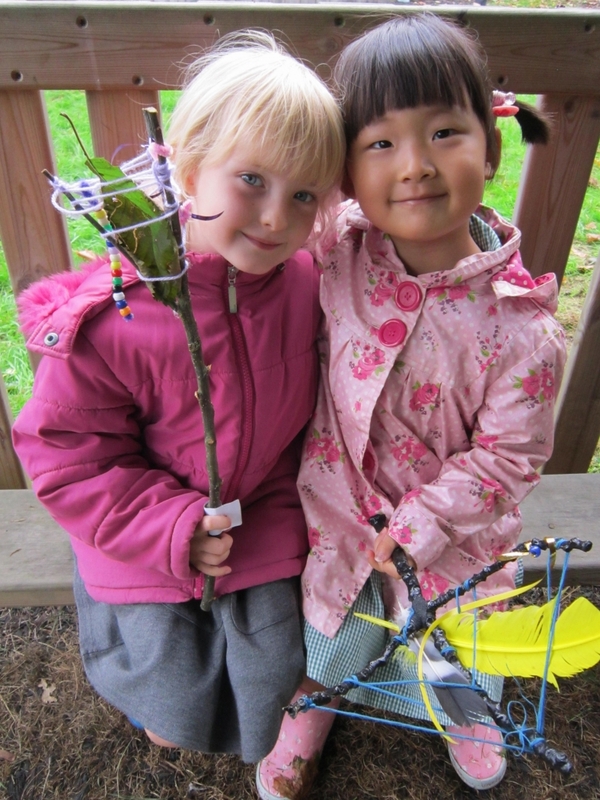 We used parts of trees, play equipment and fences to help us get started. 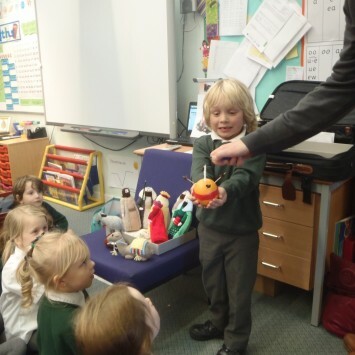 We talked about what we wanted to build and had a go at it. 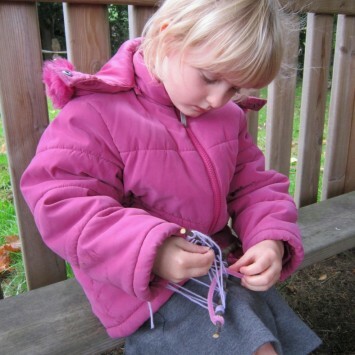 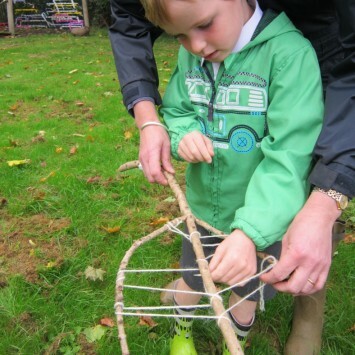 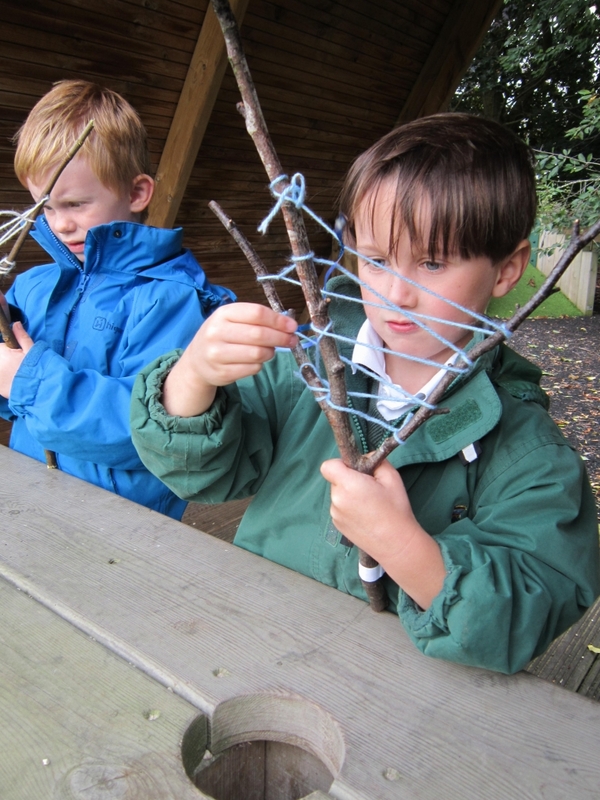 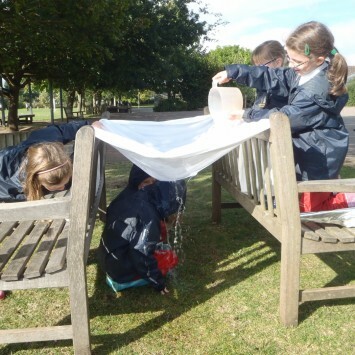 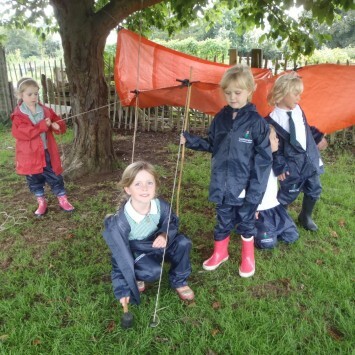 It was quite tricky to tie the ropes to the pegs, to make our dens strong. 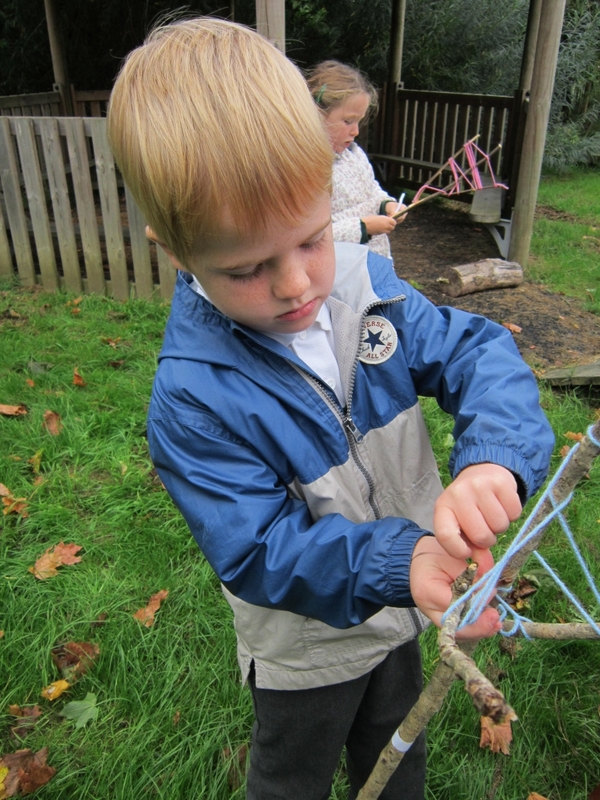 The teachers showed us how to tie the right knots and hammer our pegs into the ground. 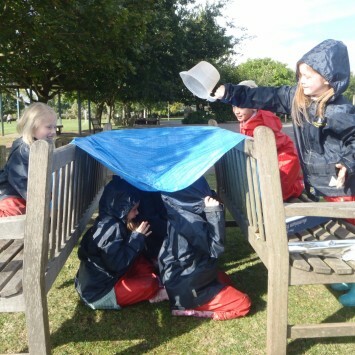 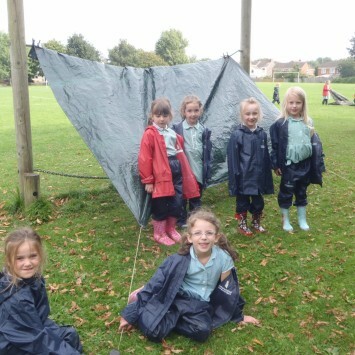 Even though it was really windy, we all were able to snuggle under our dens by the end of the afternoon!